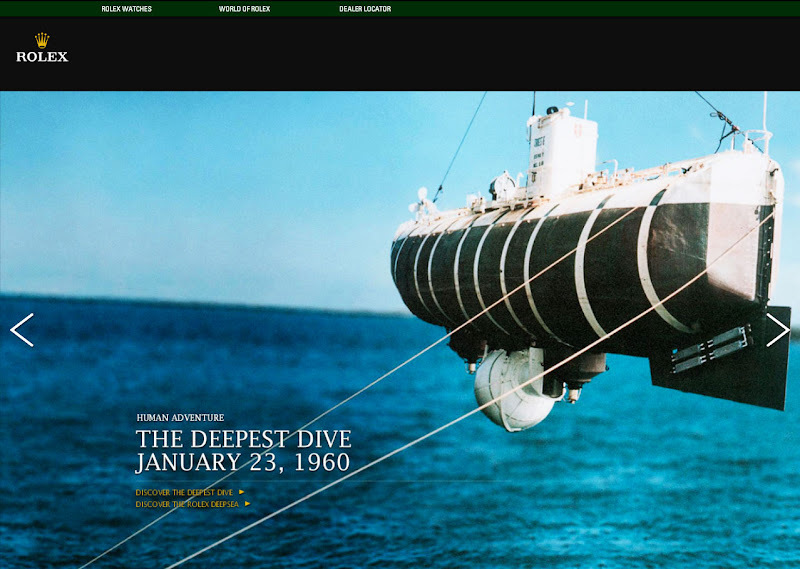 Welcome to RolexMagazine.com...Home of Jake's Rolex World Magazine..Optimized for iPad and iPhone: Rolex DEEPSEA Mystery? I originally published this story nine months ago, on August 17, 2014, not so long after Rolex introduced this amazing new model. 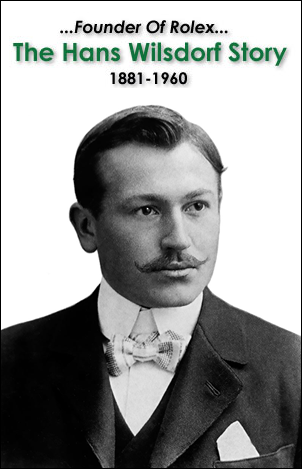 Since I originally wrote this fascinating story I have been working on fine-tuning and updating it. 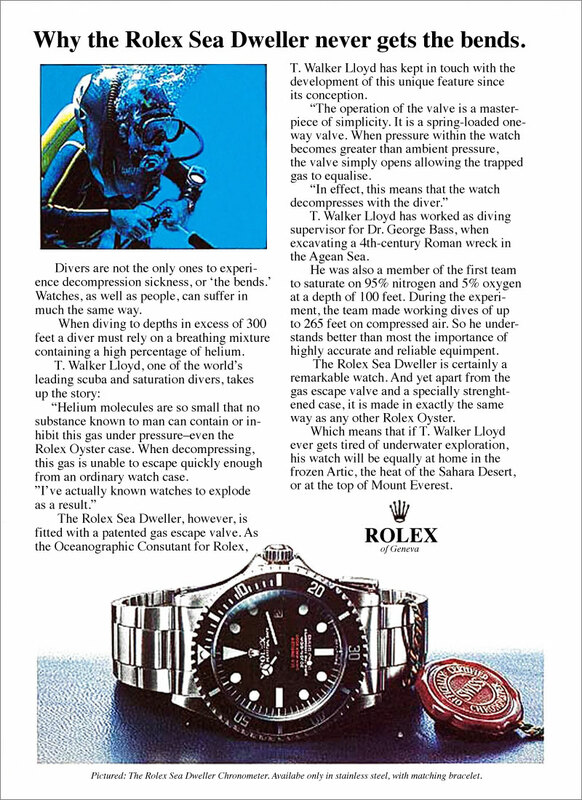 It took me a while put together all the details in this story, and I wanted to make certain that I offered a complete contextual evaluation so readers would understand the amazing pedigree of Rolex achievement that led to this special commemorative Rolex watch, as well as showcasing Rolex's Conquest of The Ocean. 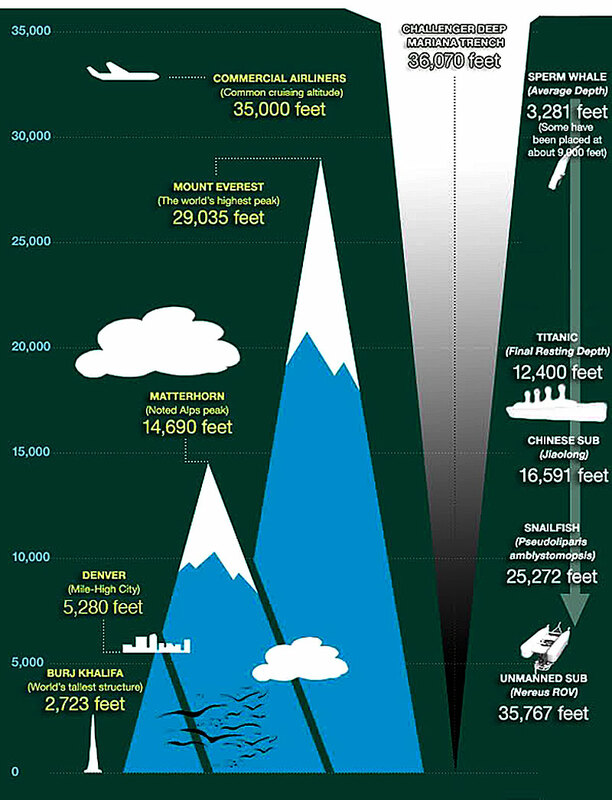 It's hard to imagine, but more than 60% of the surface of earth is covered by the ocean, which is more than one mile deep; thus the Deep Sea is the largest habitat on earth. This fascinatingly mysterious "Silent World" is largely unexplored and undocumented. One could argue that the Deep Sea is mankind's final frontier, with the exception of DEEP Space, and that is why the Deep Sea has been referred to as Inner-Space. 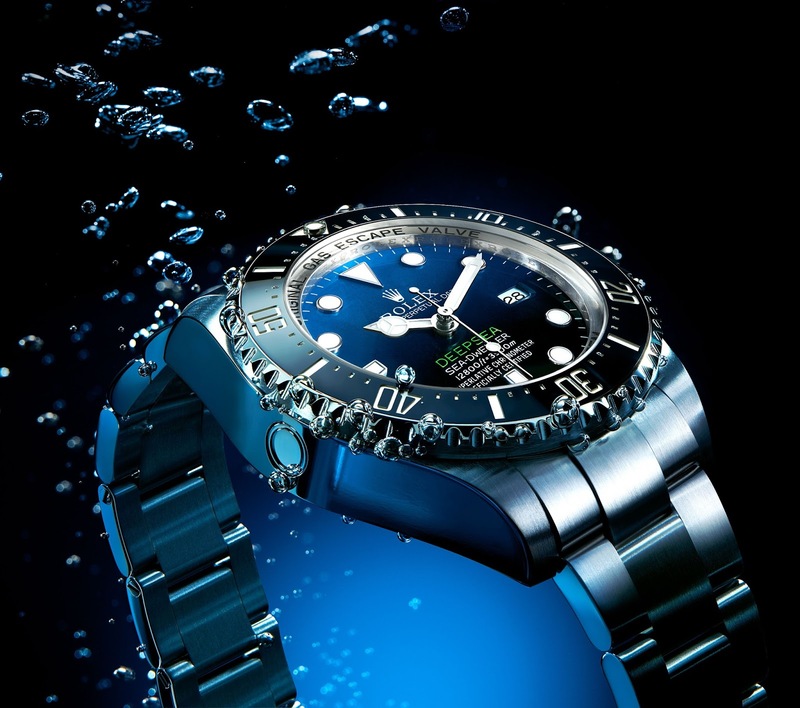 On August 4, 2014, Rolex introduced an all-new variant of the DEEPSEA SEA-DWELLER, which looks great. 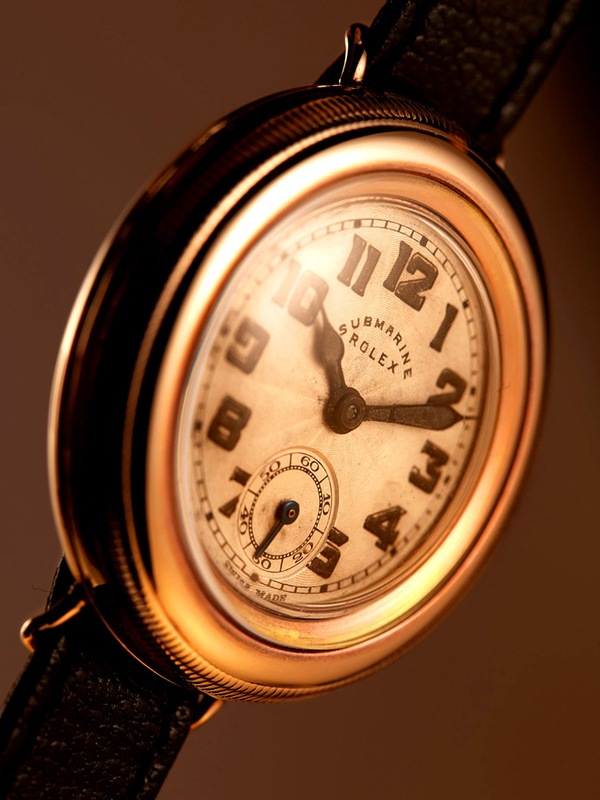 There is much, much more to the significance of this watch than just a great looking watch, and in this fascinating story we will explore many of the details that led to this crowning achievement in Rolex history. 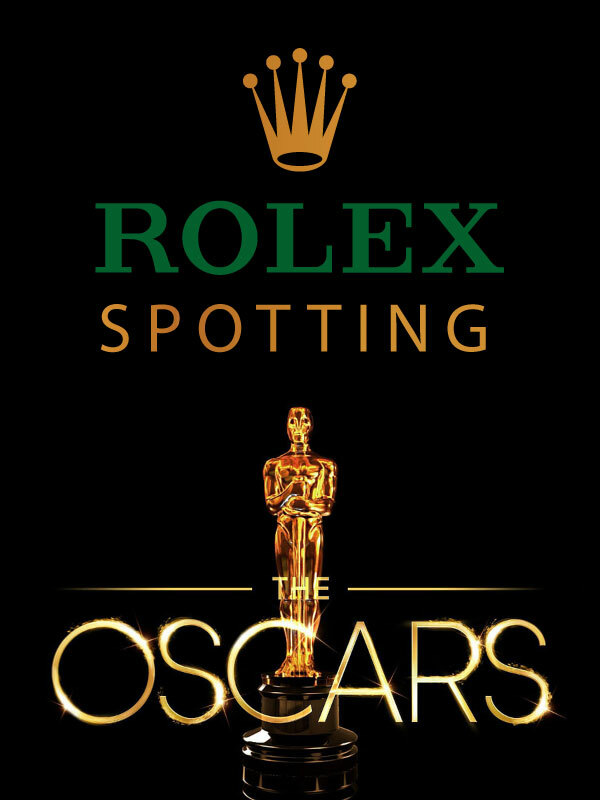 In my opinion, the coolest thing about this new model is how Rolex gave it a new innovative gradient dial style that goes from blue (on top) to black (on the bottom), which not only kind of reminds you of the Batman GMT, but also with the green DEEPSEA dial designation gives is a super-cool, popping, charismatic look. 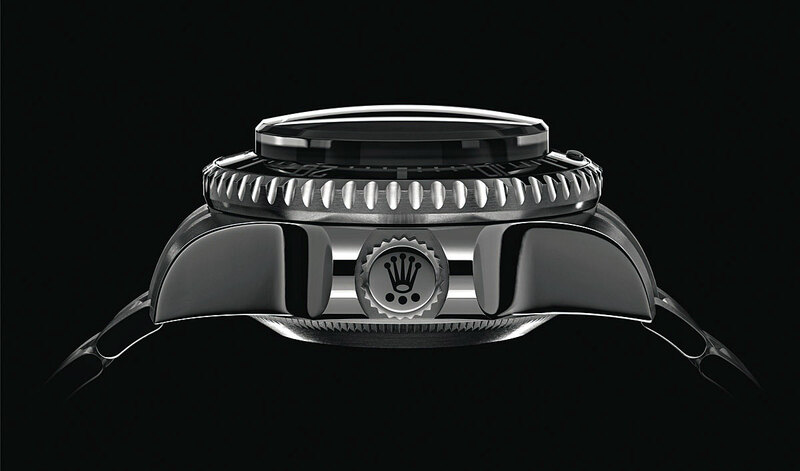 In other words, it is great to see Rolex changing-things-up with design details, which is clearly what customers want. 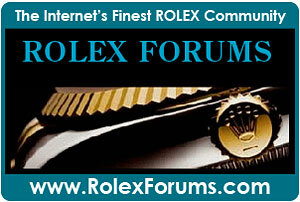 Last week, Rolex mysteriously put up an unusual graphic on Rolex.com which is seen below. 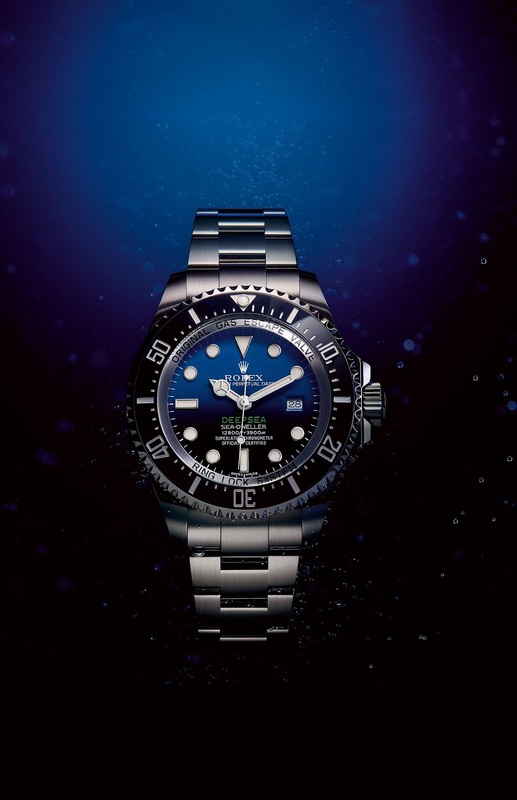 The teaser graphic showed a Rolex Professional watch that looked like a Rolex DEEPSEA SEA-DWELLER and it said, Launching 4th August. 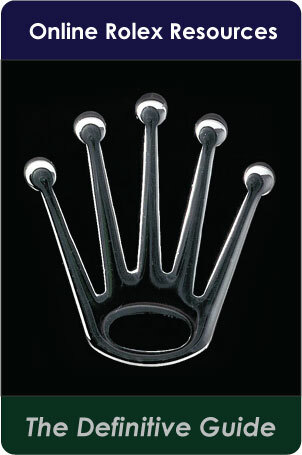 Of course there was a lot of speculation about what Rolex would be launching on August 4th. 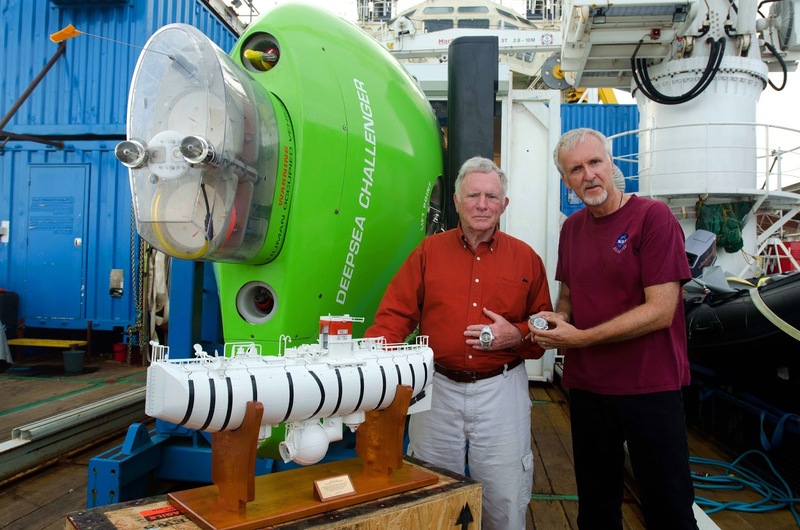 One of the obvious questions, is if it had something to do with James Cameron's DEEPSEA CHALLENGE 3D movie launching later in the week on August 8th? 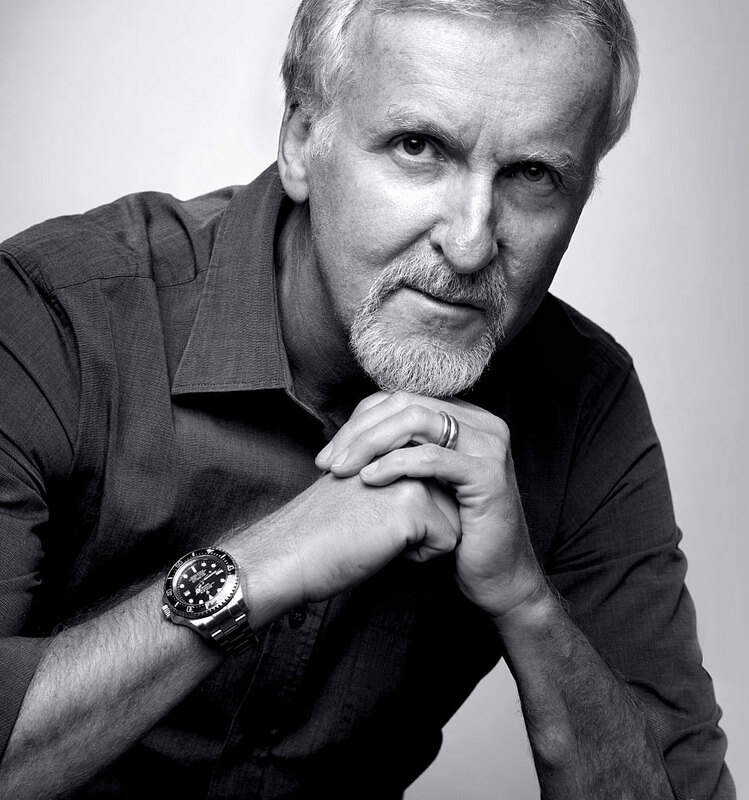 James Cameron was intimately involved in the making of the Rolex DEEPSEA, and as a longtime Rolex Submariner wearer, he knows a great deal about the watch. 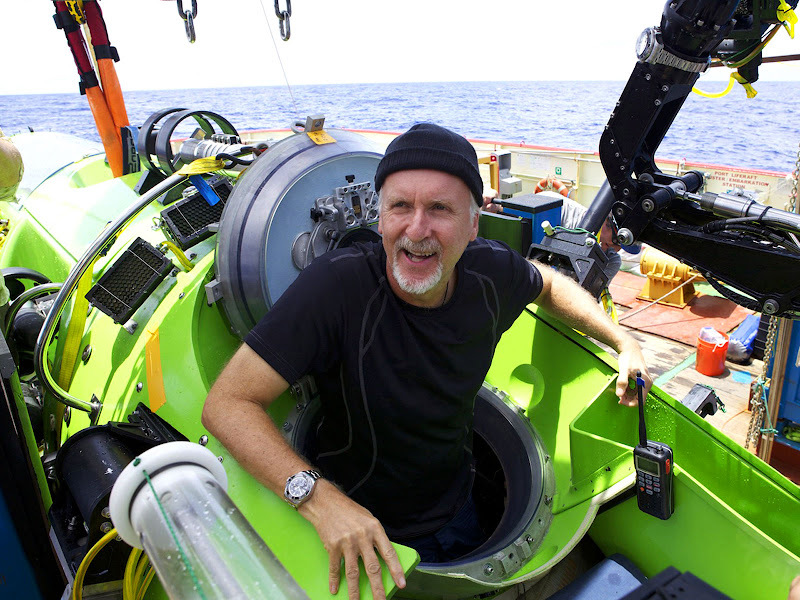 On August 8, 2014 James Cameron's movie named DEEPSEA CHALLENGE debuts is theaters, and it is super exciting. The movie poster and movie trailer are below. Back on March 12, 2012 I live-blogged the entire event as it unfolded, which was really exciting. To see everything I have published in the past on this subject, you can click here, and it will create a custom blog view that is just focused on all things James Cameron. Remember when you get to the bottom of each page to hit the "Older Posts" button, to continue going back in time to see more content that covers this fascinating subject. 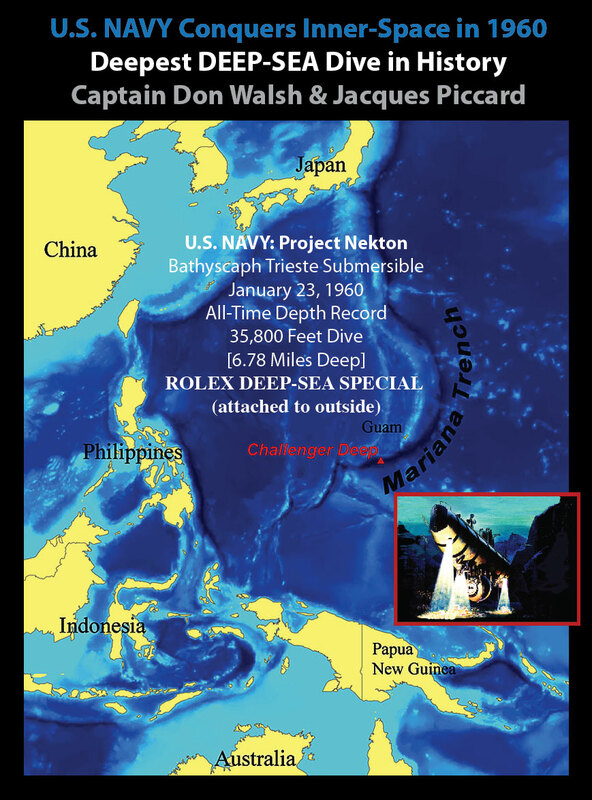 Later this week, on Jake's Rolex World, I will be covering the launch of the DEEPSEA Challenge movie. Until then, enjoy the trailer seen below. 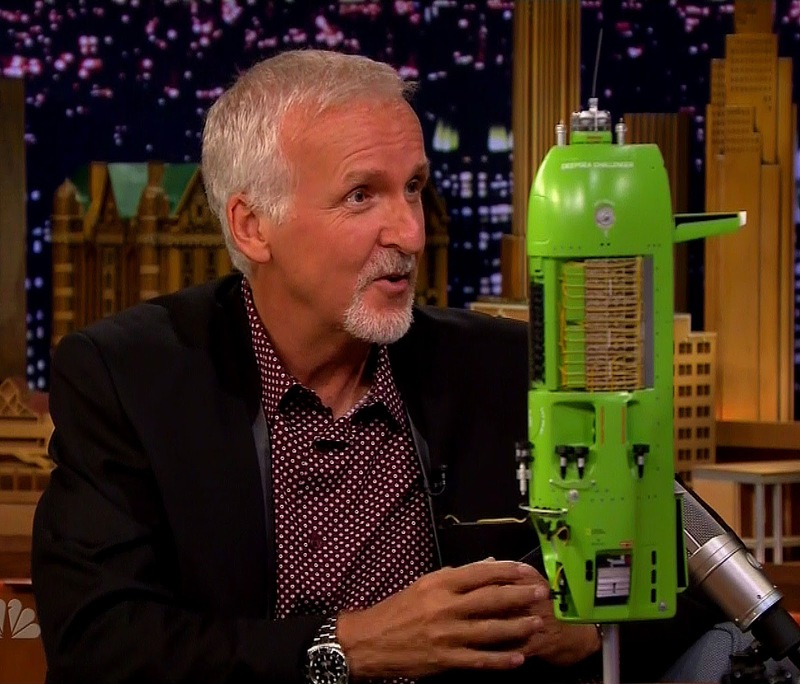 James Cameron appeared on the Tonight Show with Jimmy Fallon which aired on the evening of August 4, 2014. 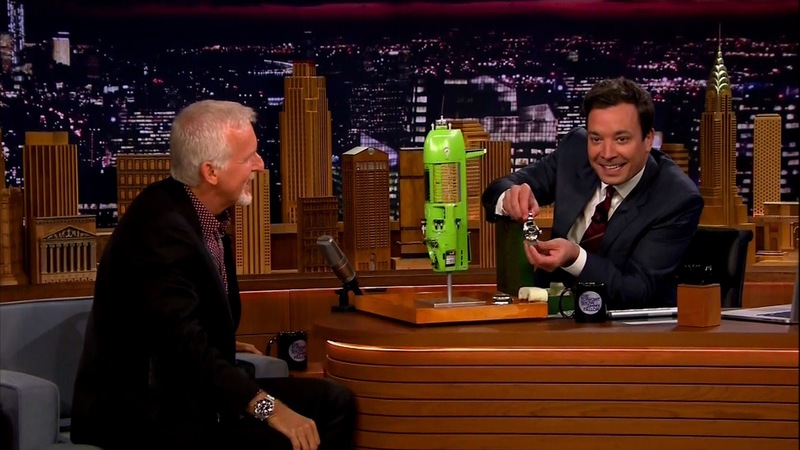 If you haven't see the Tonight Show with Jimmy Fallon, you are in for an immense treat. Jimmy Fallon replaced Jay Leno as the host of the Tonight Show, and has taken it to a whole new level, which is completely mind-boggling!!! I included the beginning of the interview above, which I highly recommend watching. 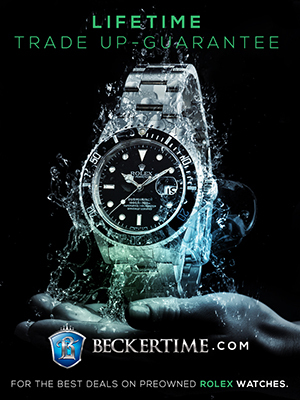 The part of the interview where they geek out over the Rolex DEEPSEA watches can be seen in the video below. 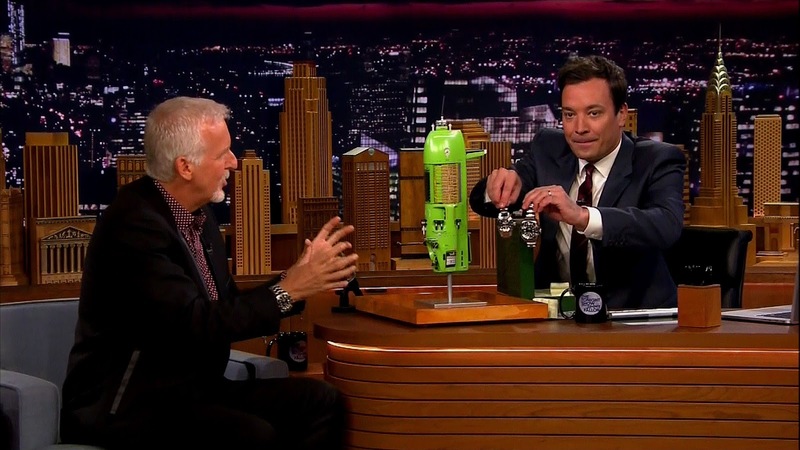 I am certain it is obvious I am an immense fan of Jimmy Fallon, as well as James Cameron, so seeing them interacting together was amazing. 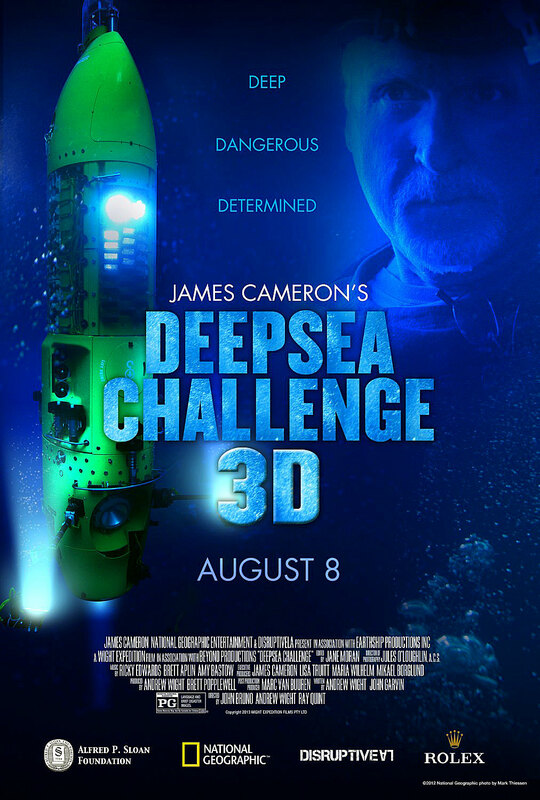 The subject topic of the interview was James Cameron's movie, DEEPSEA CHALLENGE 3D, which launches in movie theaters on Friday, August 8th. 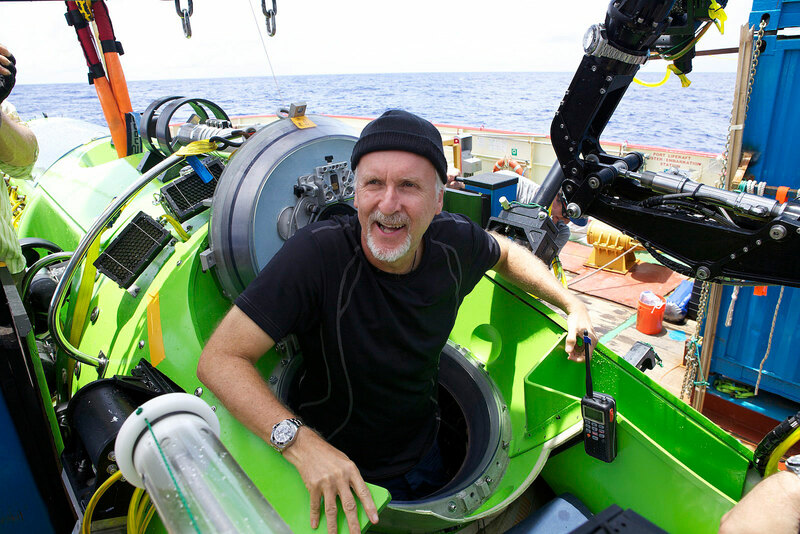 James Cameron was wearing his current model Rolex DEEPSEA as seen in the photo above. 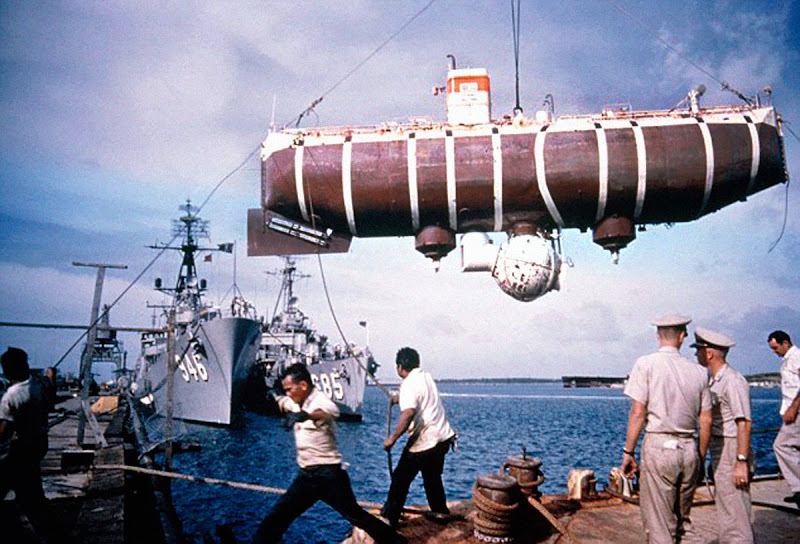 In the early part of the interview, Jimmy Fallow pulled out and placed a model of James Cameron's Submersible on the table as seen above and below. 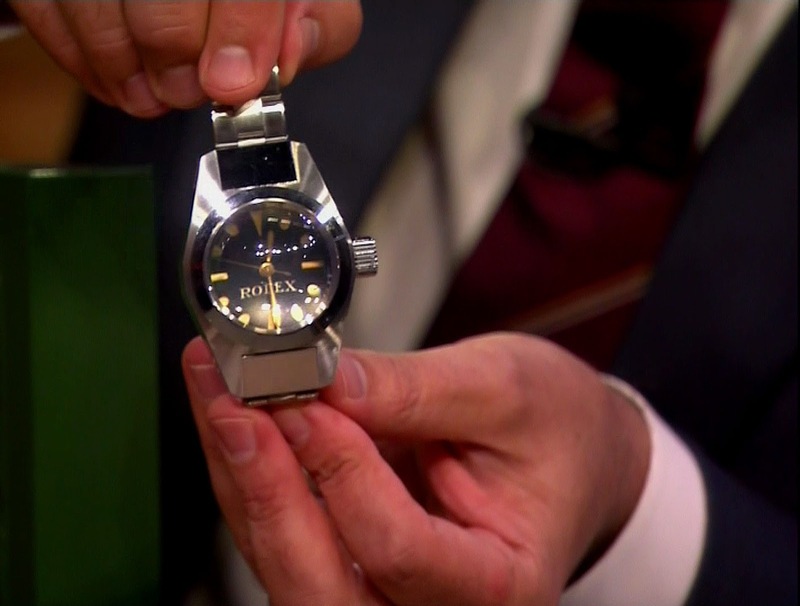 Then all of a sudden, Jimmy Fallon pulled out a custom Rolex Box, and surprised everybody by showing off the original Rolex DEEPSEA Special Prototype from 1960 that was attached to the outside of the Bathyscaphe Trieste when it set the all-time world depth record of 7 Miles down. 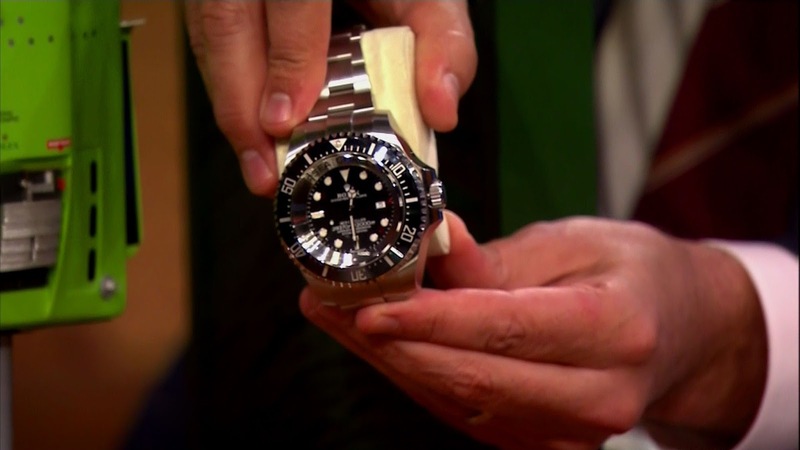 In Jimmy Fallon's left hand, we see him holding up the Rolex DEEPSEA Challenge watch that was attached to the outside of James Cameron's Submersible when he successfully returned to the Challenger DEEP to match the record made in 1960. 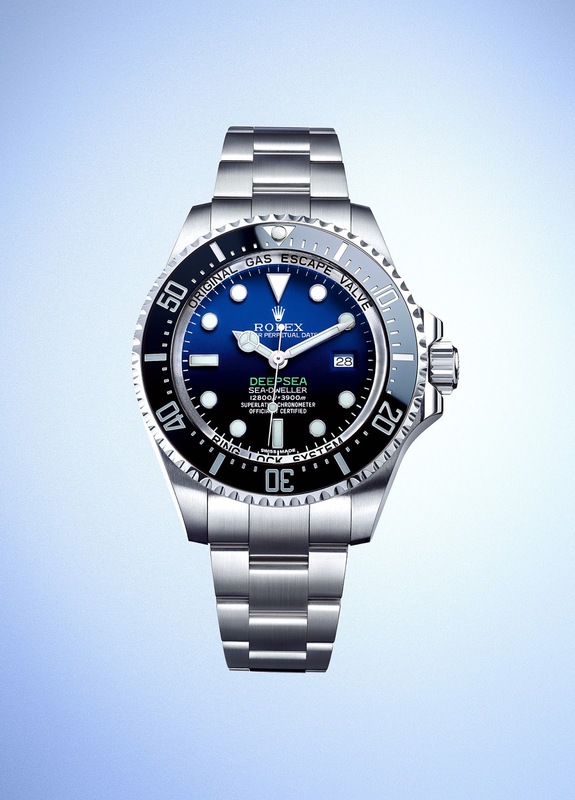 Next, Jimmy Fallon put down the Rolex DEEPSEA CHALLENGE model, and started discussing the original DEEPSEA SPECIAL from 1960 as seen above and below. 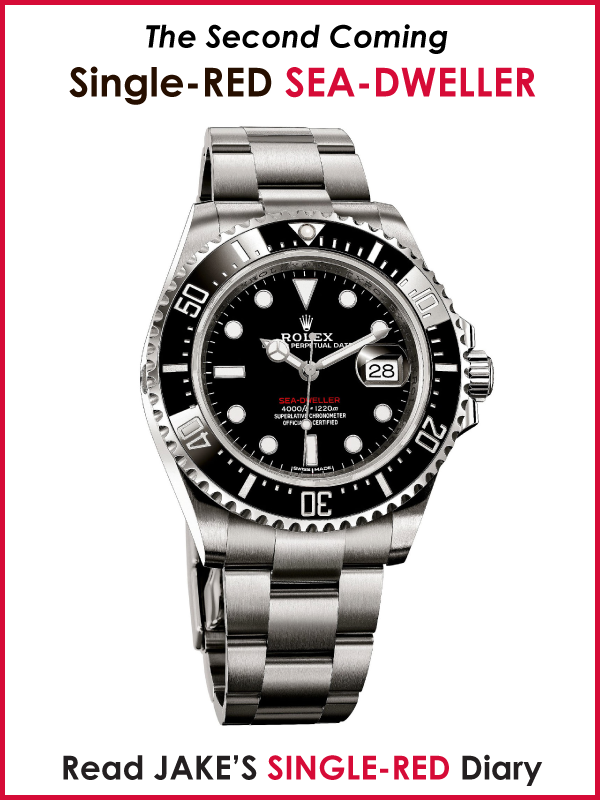 The photo below shows a straight on shot of the Rolex DEEPSEA SPECIAL, where you can see the "ROLEX" dial designation. 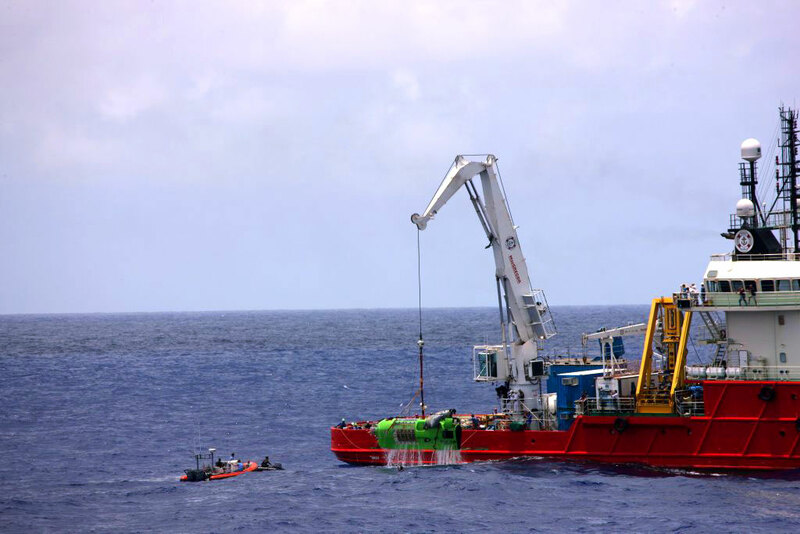 Next, Jimmy Fallon picked up the DEEPSEA CHALLENGE Model and started discussing it. In the photo below you can see how enormous the watch is. 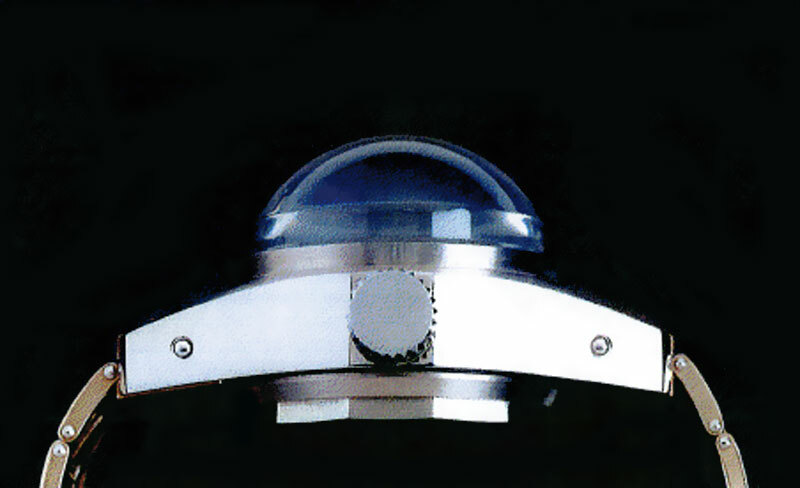 In the next image, pictured below, we get a straight frontal shot. In the photo it does not look that big, since it is not on his wrist. 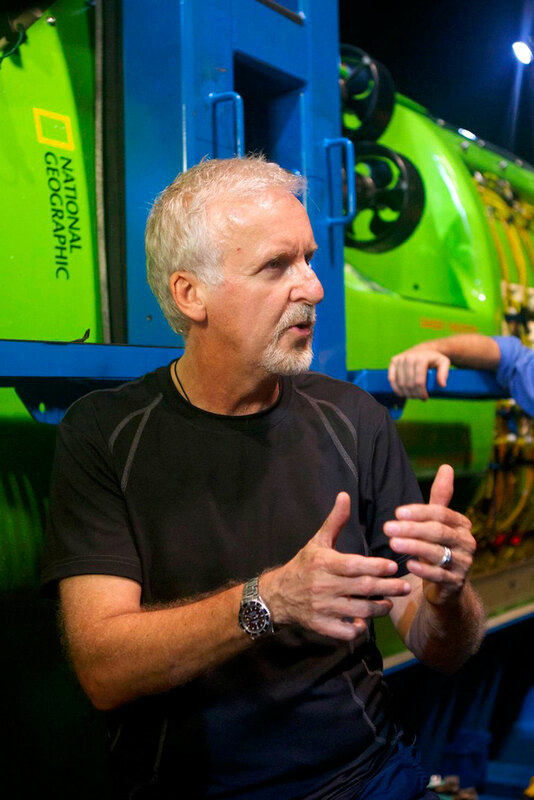 In the next image we see James Cameron's hand on the left, reaching for the DEEPSEA CHALLENGE model. Notice how massive the crystal thickness is on the watch. 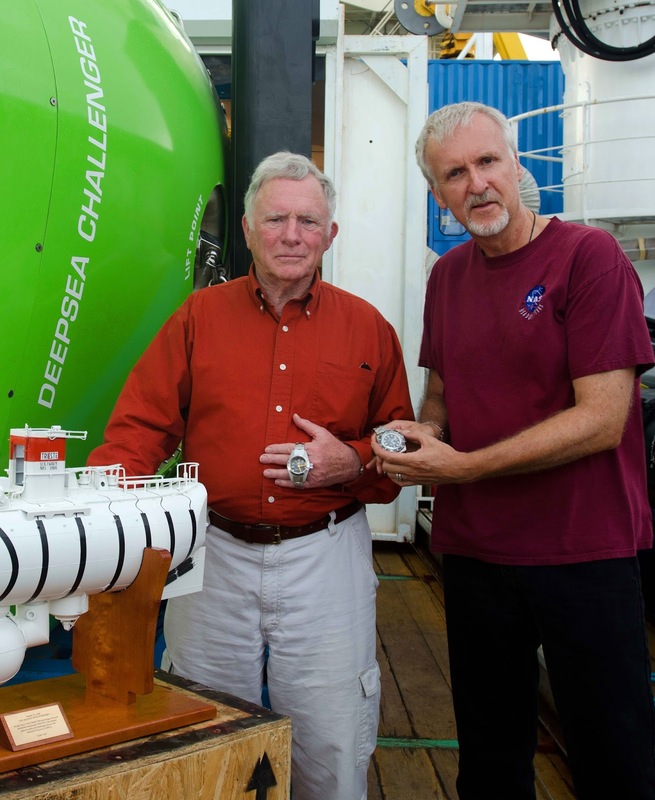 In the photo below we once again see James Cameron's wrist with his DEEPSEA, and notice how massive the lugs are on the DEEPSEA Challenge. 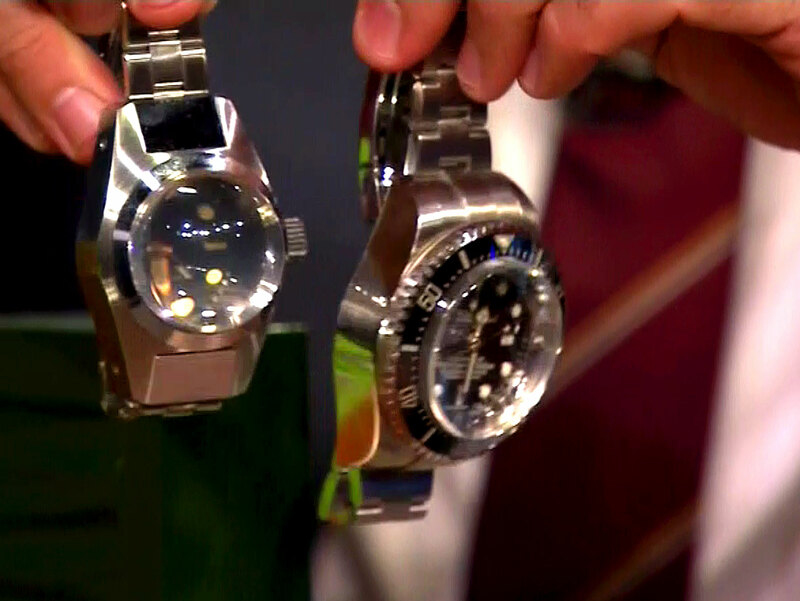 In the next image below, we see Jimmy Fallon comparing the side profiles of the original 1960 Rolex DEEPSEA Special (left) to the 2012 Rolex DEEPSEA Challenge. 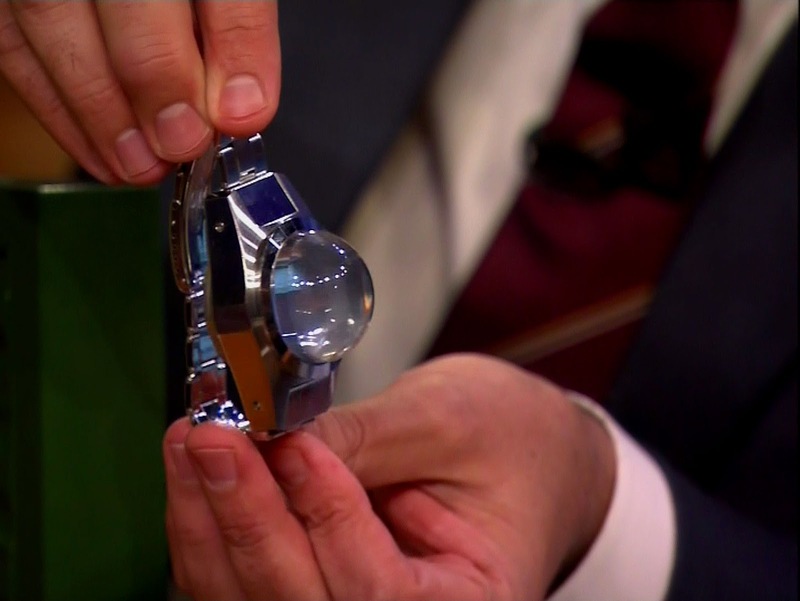 In this last image we see Jimmy Fallon holding the two watches, comparing and contrasting them, side by side. 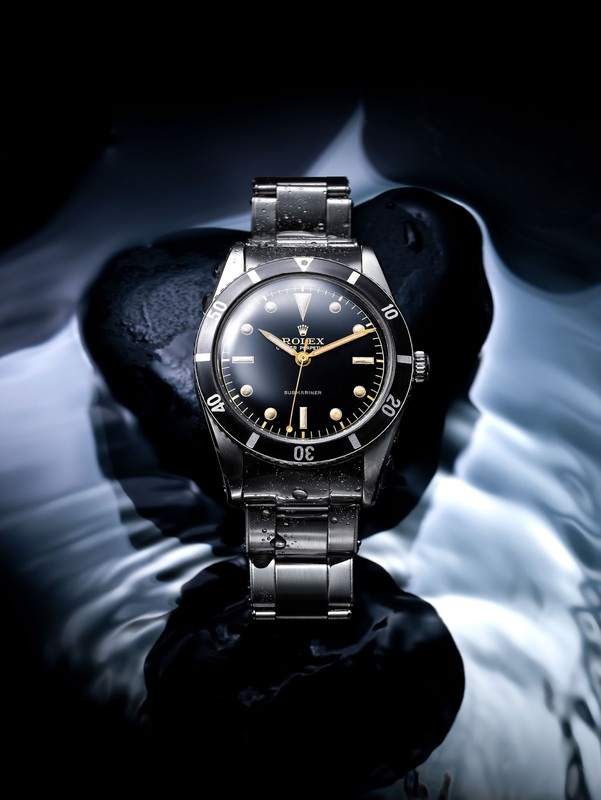 To best understand the launch of this exciting new Rolex DEEPSEA model, we must go back to the genesis of Rolex to explore the man whose vision resulted in this achievement. 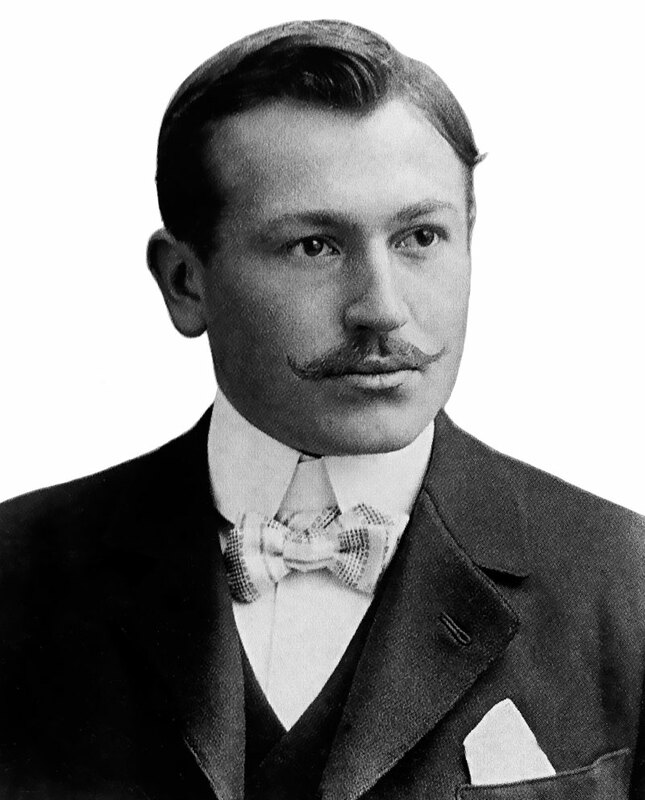 Hans Wilsdorf founded Rolex in London in 1905, and he is pictured below in that same year. 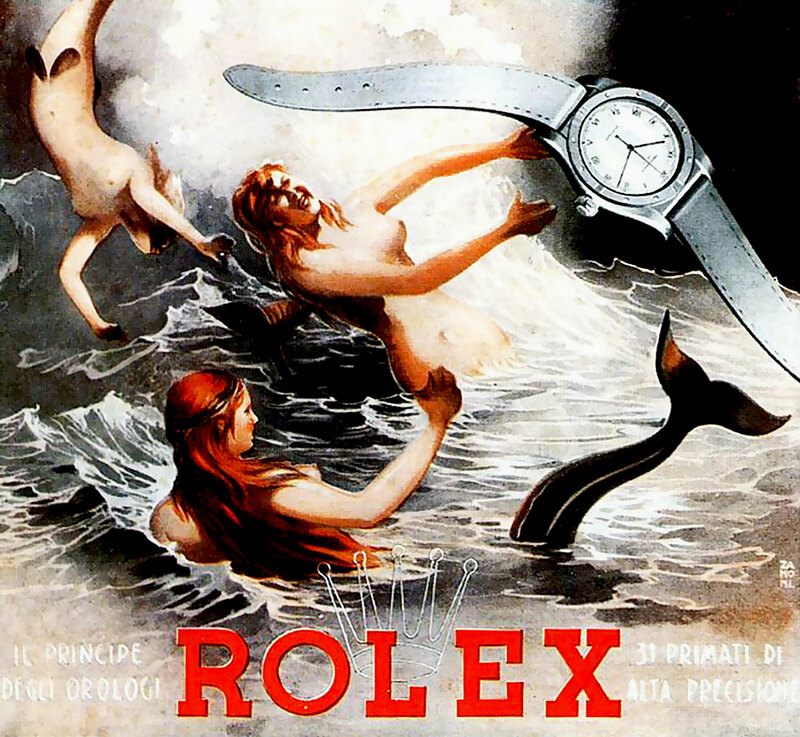 Hans Wilsdorf was obsessed, among other things with figuring out how to make make a waterproof wristwatch, and in 1922, Rolex introduced a hermetically sealed model named the Rolex Submarine. 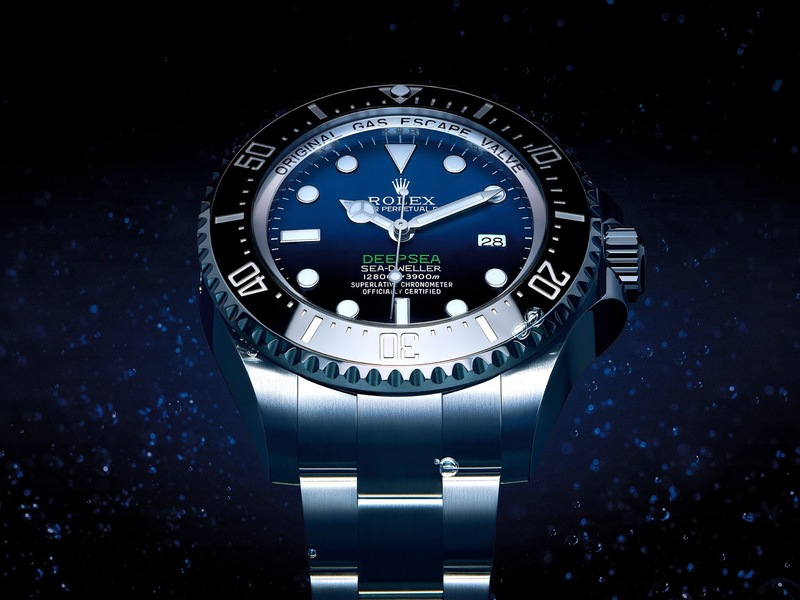 This Rolex "Submarine" model would be a harbinger for the worlds first diving watch, which would also be made by Rolex, named the Rolex "Submariner." 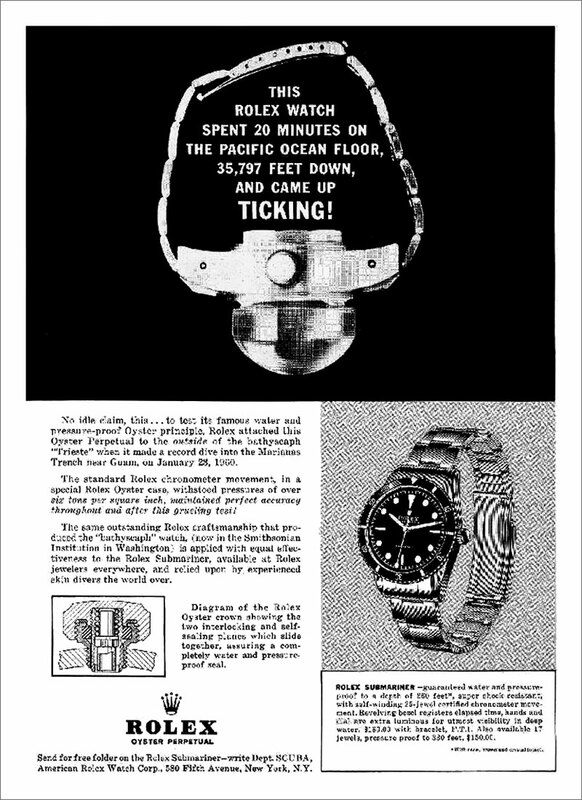 The hermetically sealed Rolex Submarine was highly water resistant, particularly if submerged in shallow water, but it was not completely waterproof. 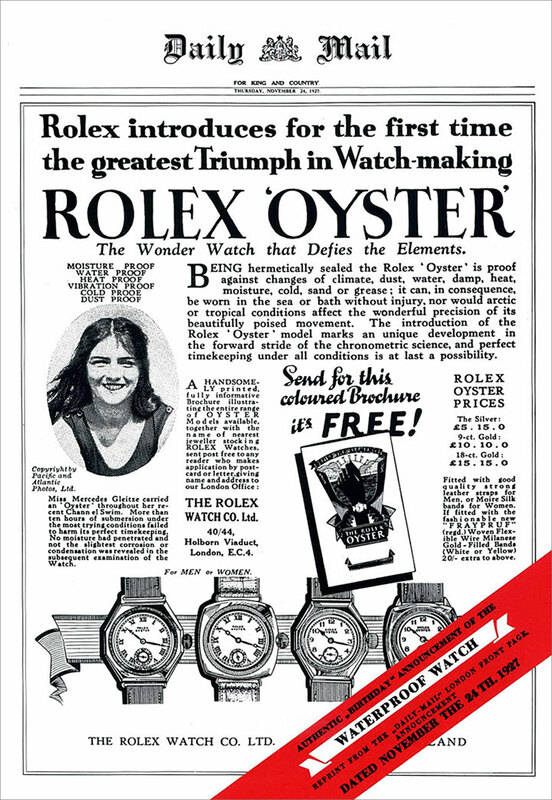 Several years later, in 1926, Rolex brought to market the worlds first completely waterproof watch and named it the Rolex Oyster. 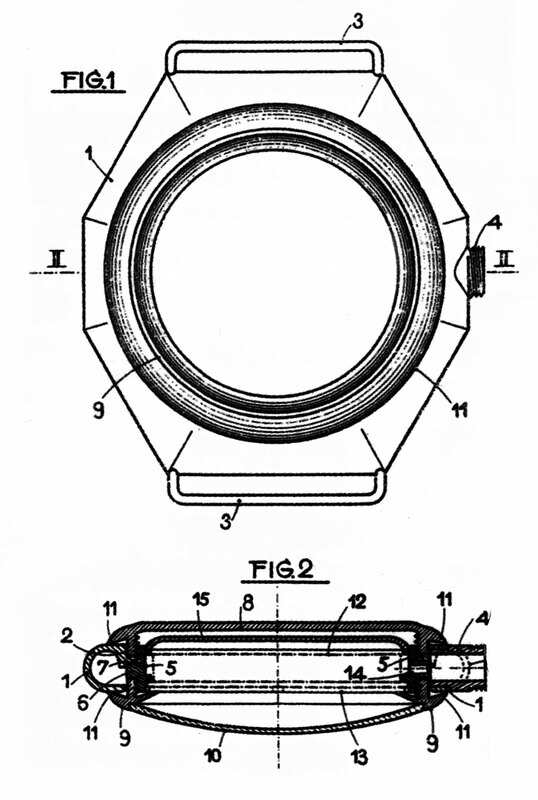 The next photo perfectly illustrates how the original Rolex Oyster case was designed, constructed and assembled. 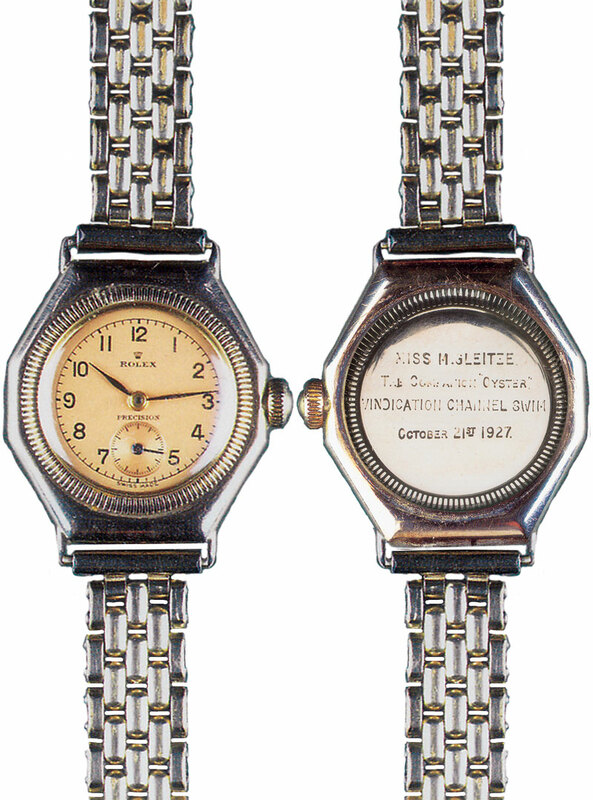 Notice the fluted bezel, just like with the one on the previously examined hermetic case, screws down onto the inner-case as does the case-back. 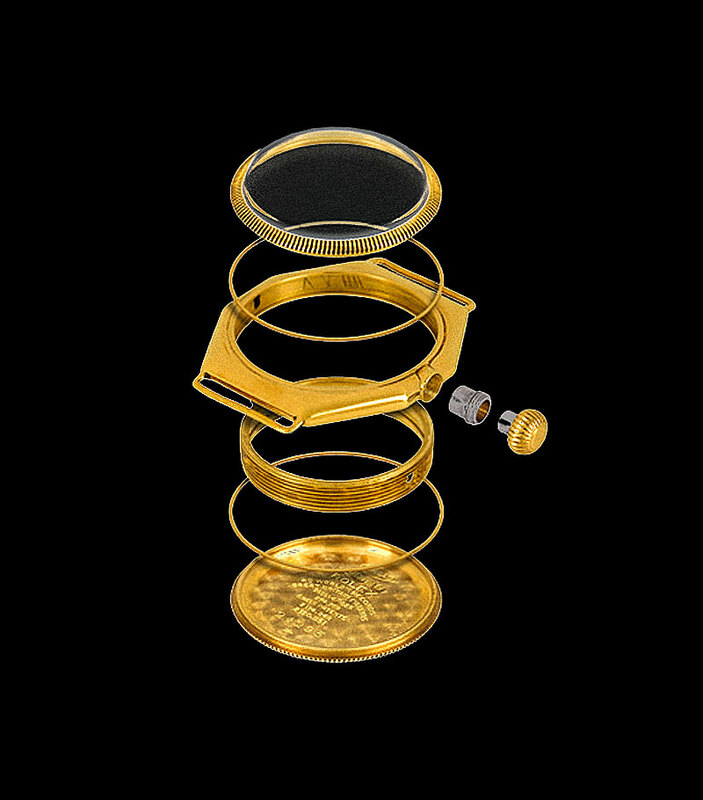 The actual Oyster case itself, was milled from a solid piece of gold, as all Rolex Oyster watch cases are to this day. 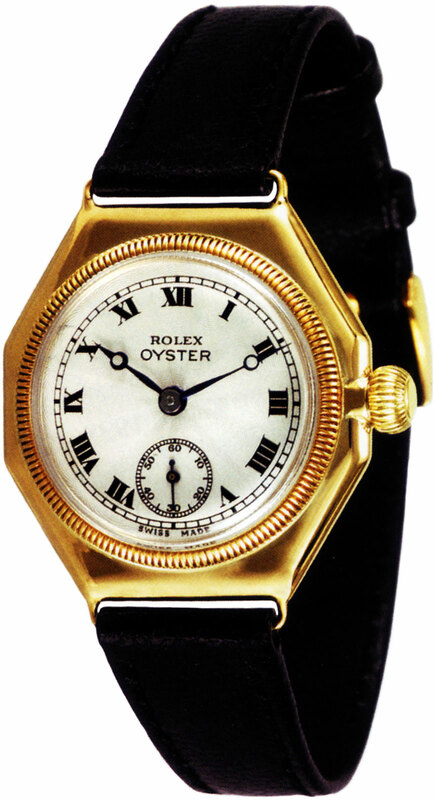 The next photo below is of the actual first Rolex Oyster made in 1926, which was made out of yellow gold. 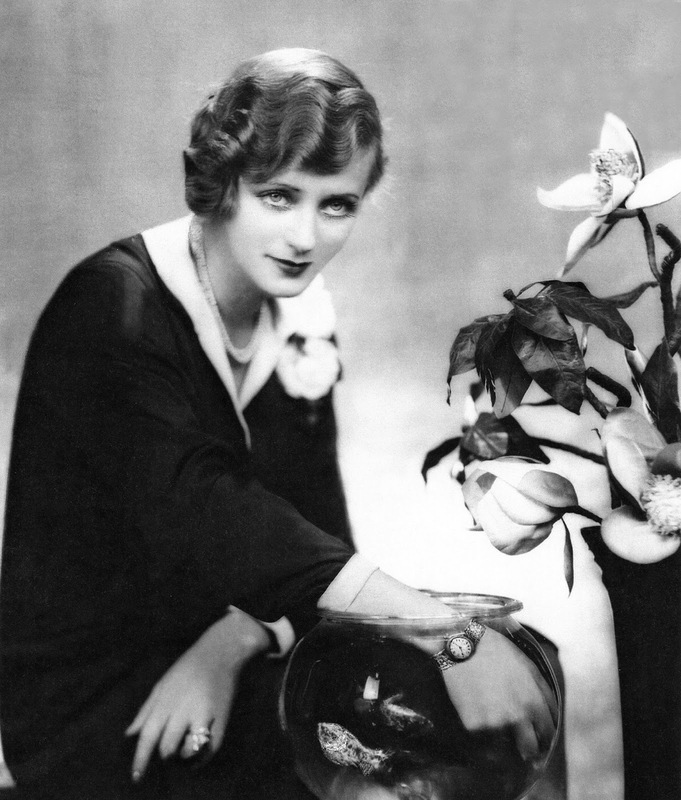 This art-deco masterpiece wrist watch changed everything!!! 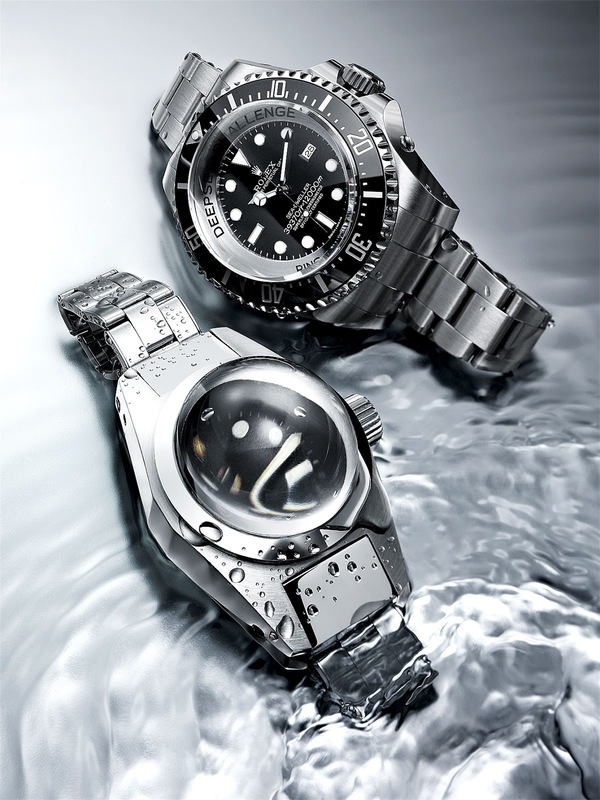 In 1926, at age 45, Hans Wilsdorf had successfully designed, manufactured and patented the waterproof Rolex Oyster. 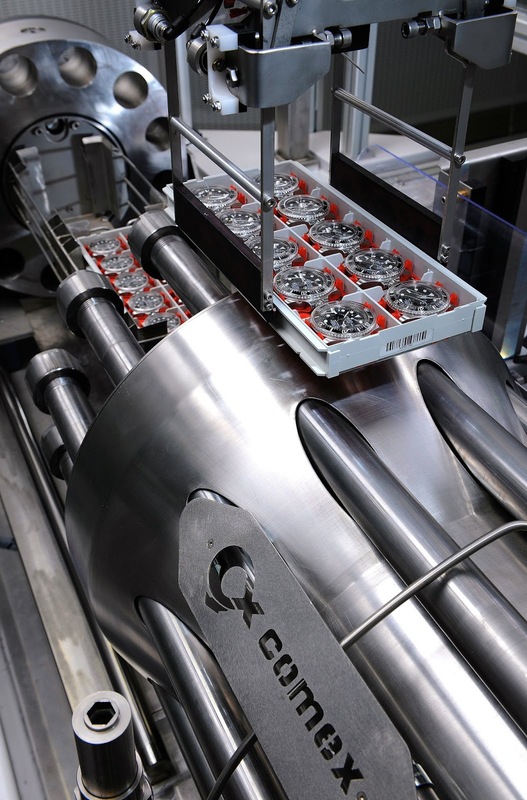 The challenge he faced was, how to communicate the value-proposition of such a product? The challenge with Mercedes Gleitze's "vindication" swim was that after 10 hours, she only made it about 4/5 of the way across the channel and had to be pulled-out, since she almost froze to death. 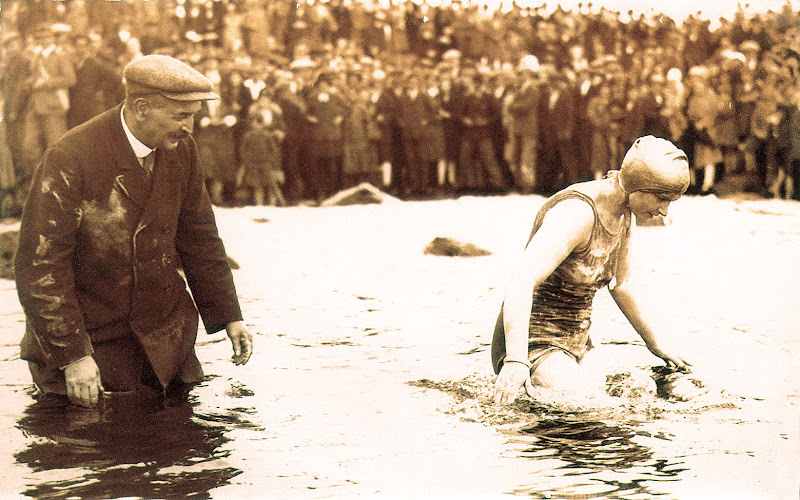 The vindication swim was not a complete success, but the Rolex Oyster, strapped around her neck, came out of the water in perfect working order. 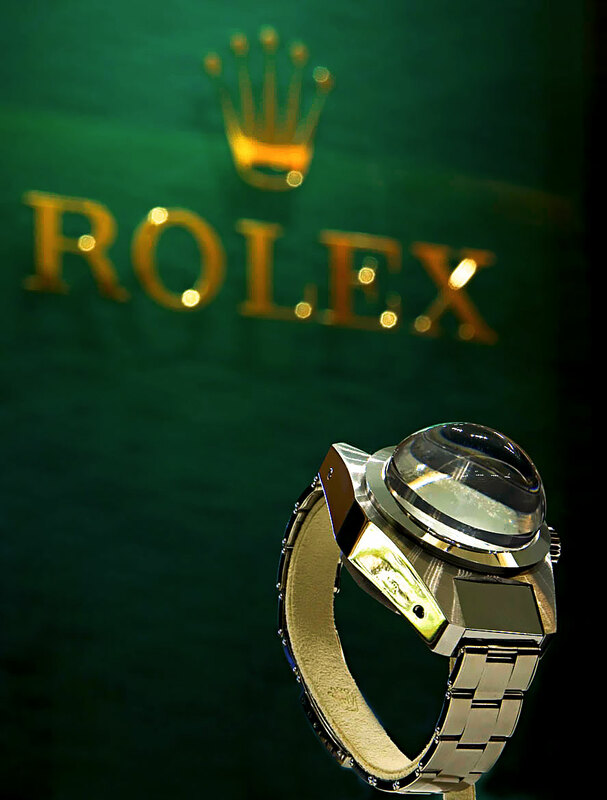 Rolex typically introduced new models traditionally only at the BaselWorld trade show in Geneva, which takes place one a year, and that is another detail that makes this new watch unusual, is that it was NOT introduced at BaselWorld. 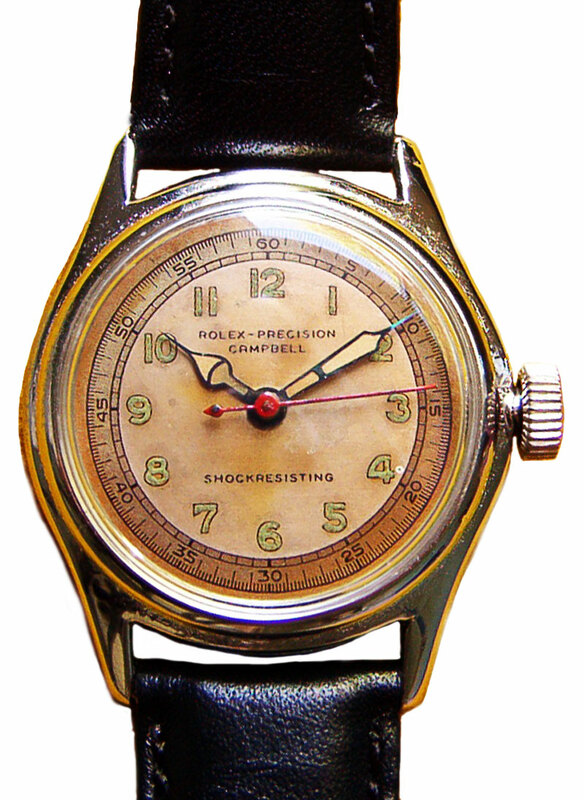 Also, Rolex has not introduced a watch to commemorate a persons achievement since the 1930s, at least that I am aware of. 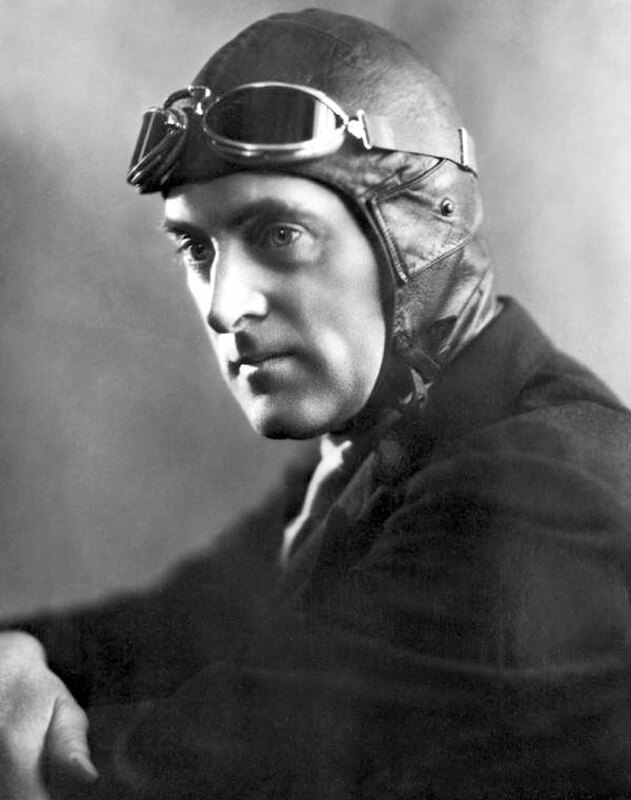 The last Rolex watch model introduced by Rolex was to commemorate Sir Malcolm Campbell's speed records. 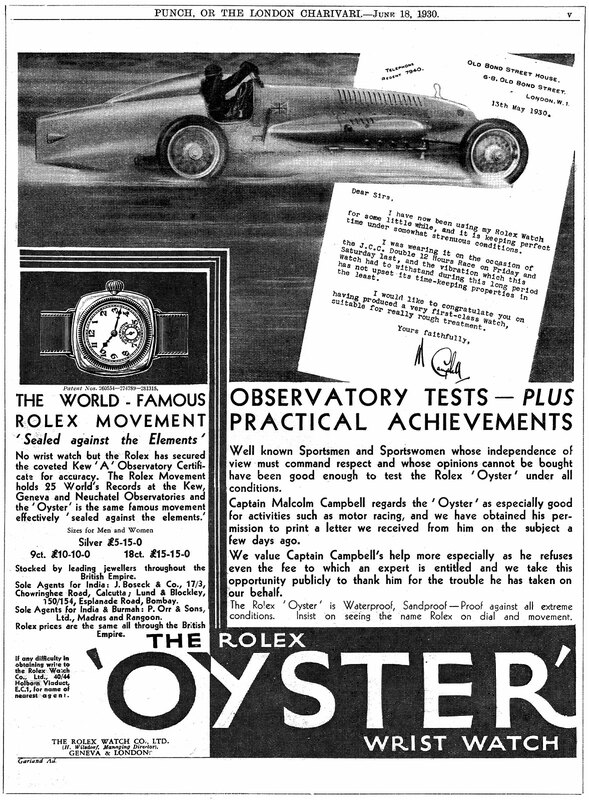 The photo above is of Sir Malcolm Campbell, and the Rolex ad below commemorates his record setting achievement in 1930. 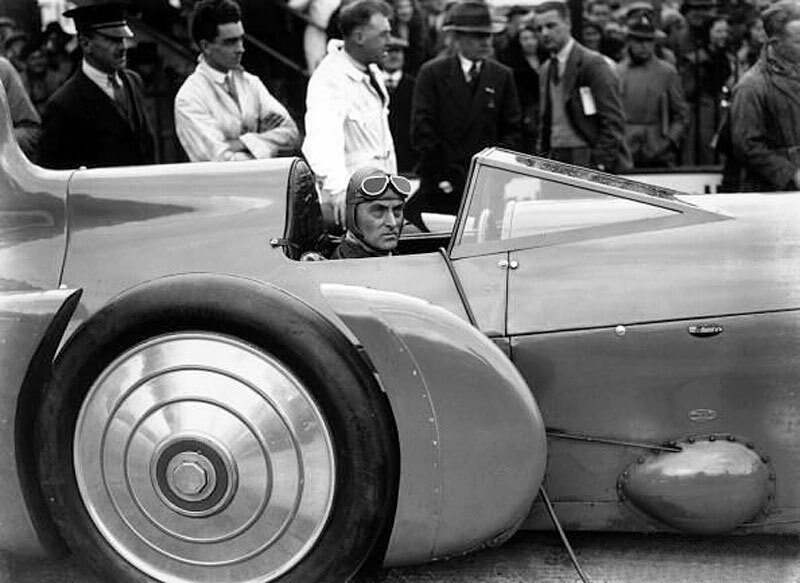 In the photo below we see Sir Malcolm Campbell sporting his Rolex Oyster watch. 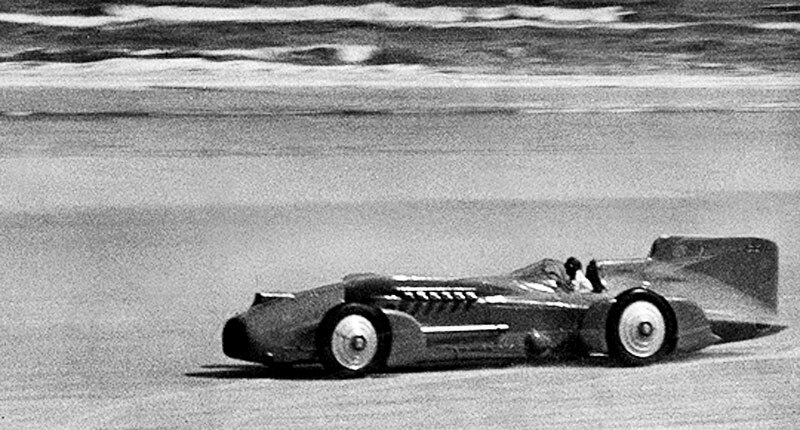 The photo below shows a Rolex Precision "CAMPBELL" model that was made to commemorate his many achievements in setting speed records. 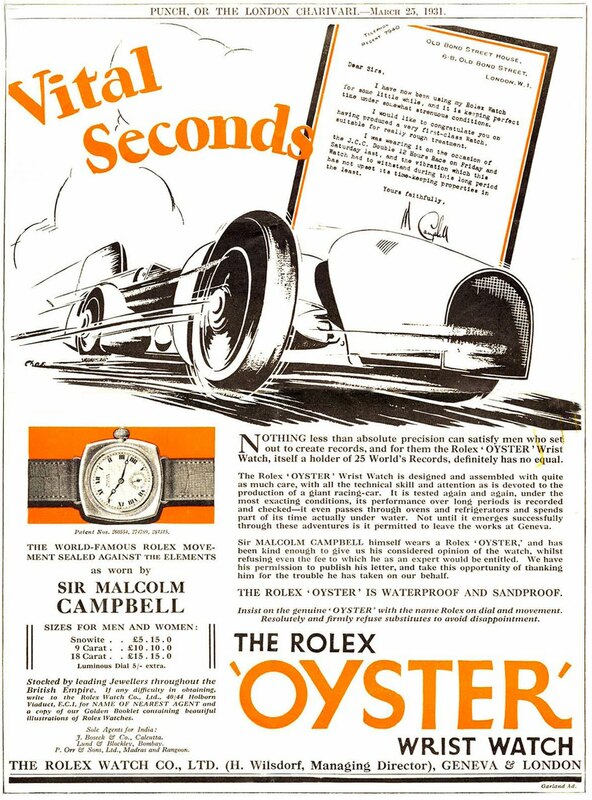 Hans Wilsdorf, founder of Rolex, learned that Malcolm Campbell had been wearing a Rolex when he broke the speed record and asked his permission to publicize this fact. 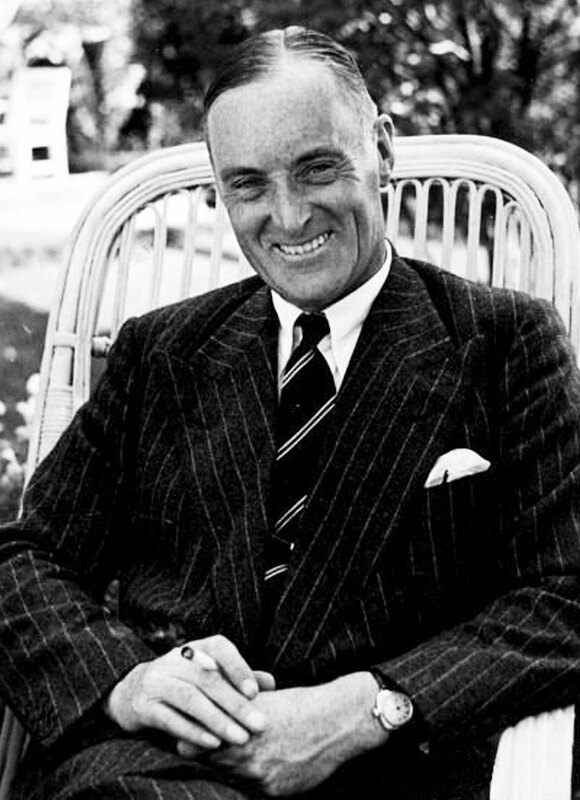 Campbell agreed, but refused to accept any payment for his endorsement, thus making Campbell the first male Rolex Ambassador. 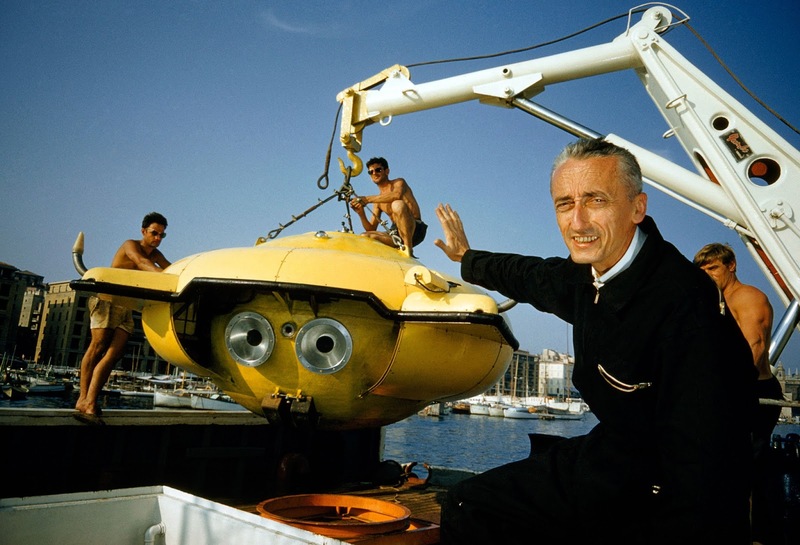 In order to accurately understand James Cameron's amazing achievement, we have to examine the incredible achievements of Jacques Cousteau. 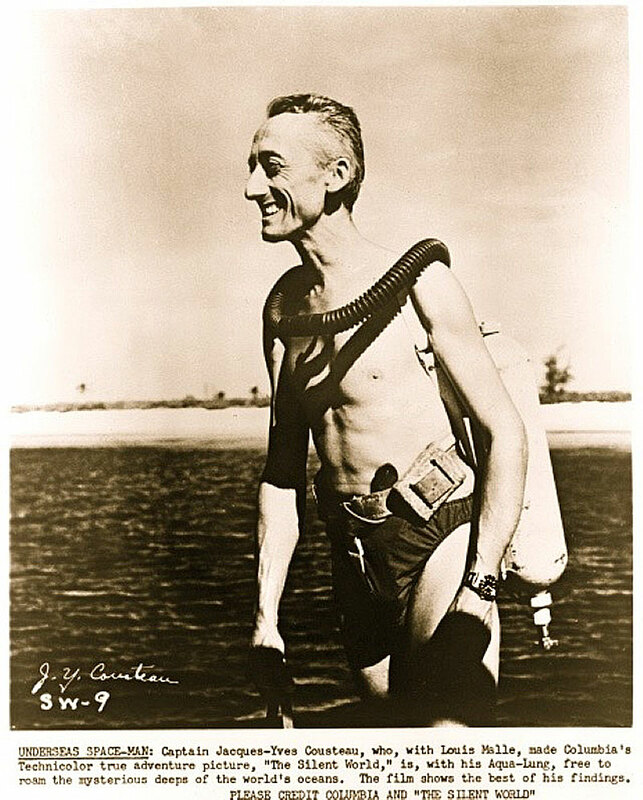 Much of James Cameron's inspiration to become an explorer came from Jacques Cousteau. 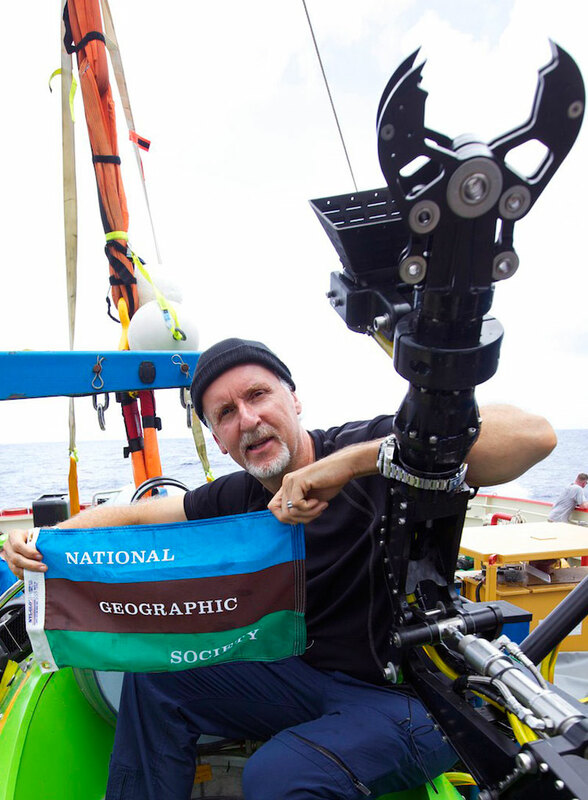 So this is something James Cameron has in common with Jacques Cousteau, is both used film to document their amazing exploration of the ocean. 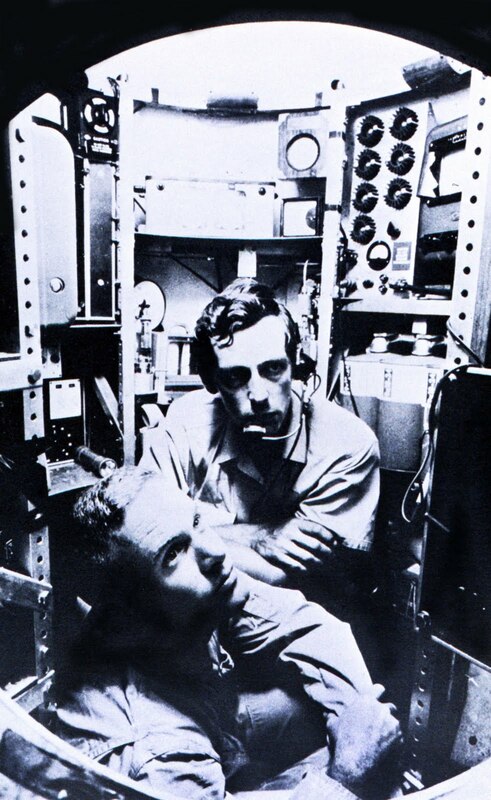 Of course, Jacques Cousteau was the first person in history to document the silent world that existed under the ocean floor, which had never been seen before that time. 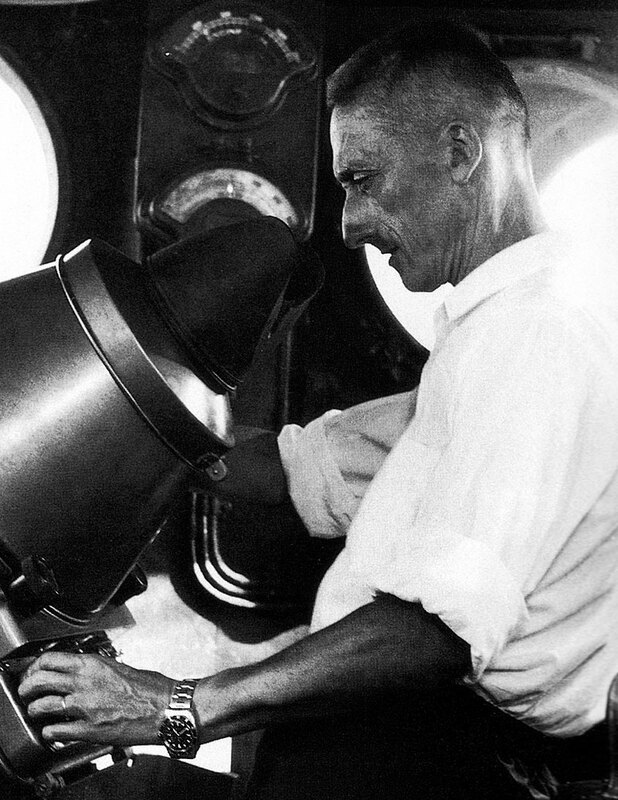 Jacques Cousteau, like James Cameron had to invent much of the technology he used to create his award winning films. 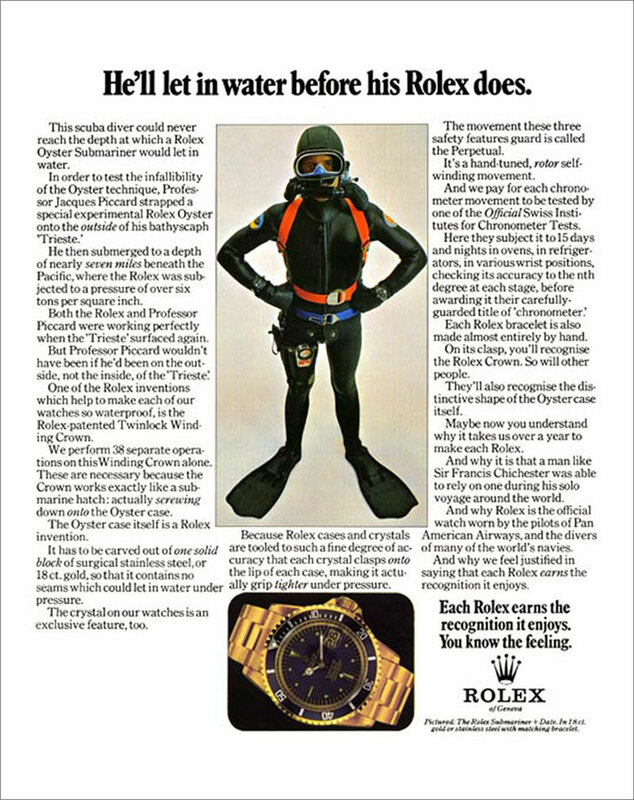 Also, if you look at the photo of Jaques Cousteau pictured above, you will notice he is wearing a special Rolex Submariner prototype, a year before it was formally introduced to the public at the BaselWorld trade show in Geneva in 1954. 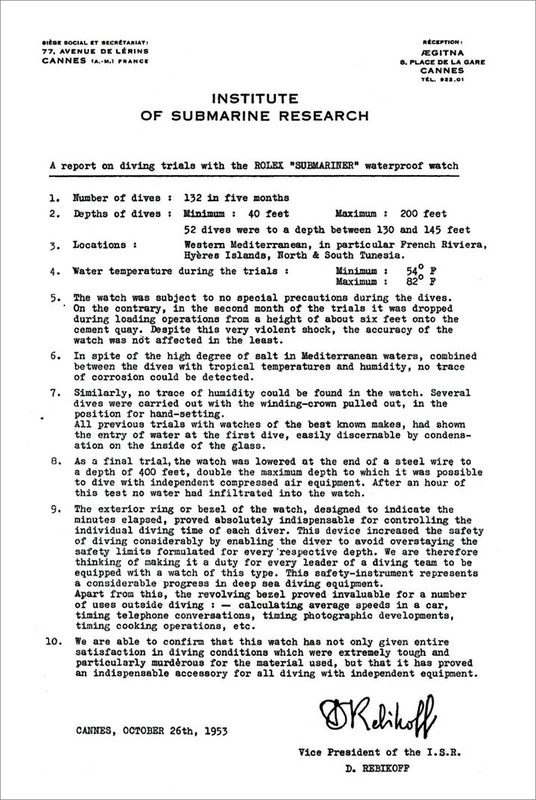 Jacque Cousteau was conducting special DEEP-SEA research for Rolex, as documented in the document see below from the Institute of Submarine Research in 1953. 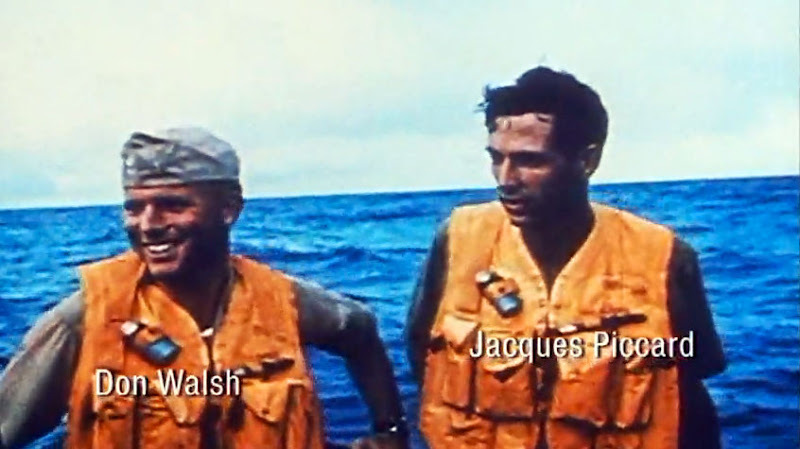 The similarities between Jacques Cousteau and James Cameron are striking. Jacques Cousteau was constantly designing and building specialize equipment like the DEEPSEA submersible pictured below. 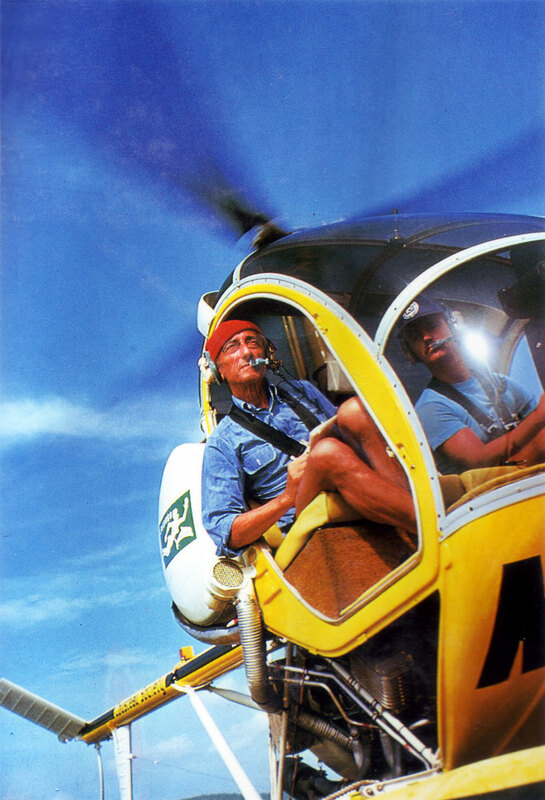 Also Jaques Cousteau work a great deal with National Geographic to produce his special films. 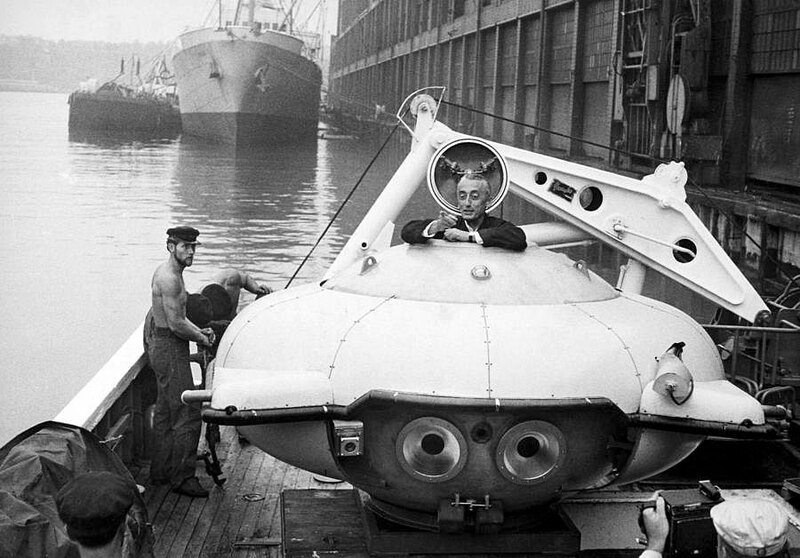 In the photo above, we see Jaques-Yves Cousteau in a submersible he designed and piloted while searching the DEEPSEA. 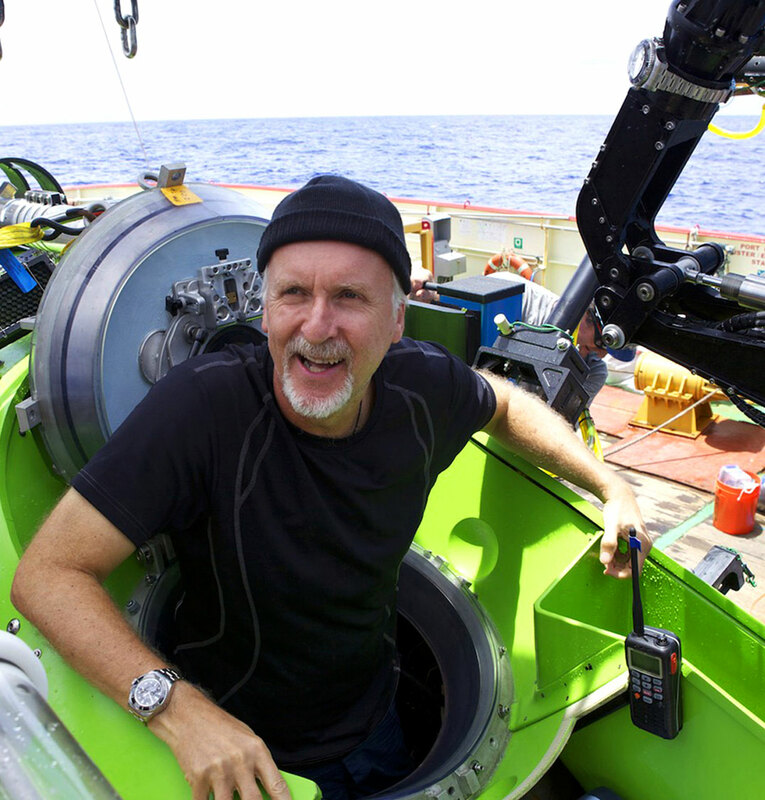 In the photo below we see James Cameron in the submersible he designed and piloted. 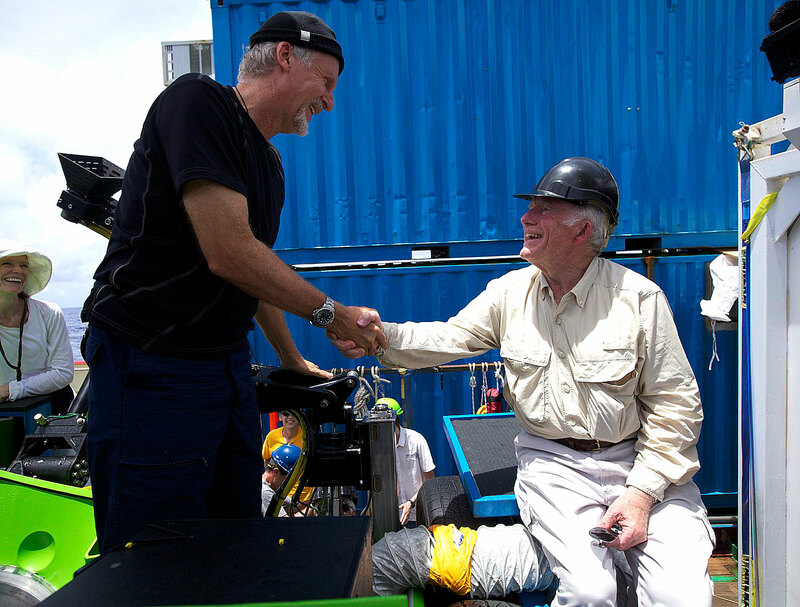 The photo of James Cameron was taken just after his record breaking dive in 2012, and I remember how when I saw him with the wool cap, it reminded me of Commander Cousteau, who also wore the same style cap, but in red, which is pictured below. 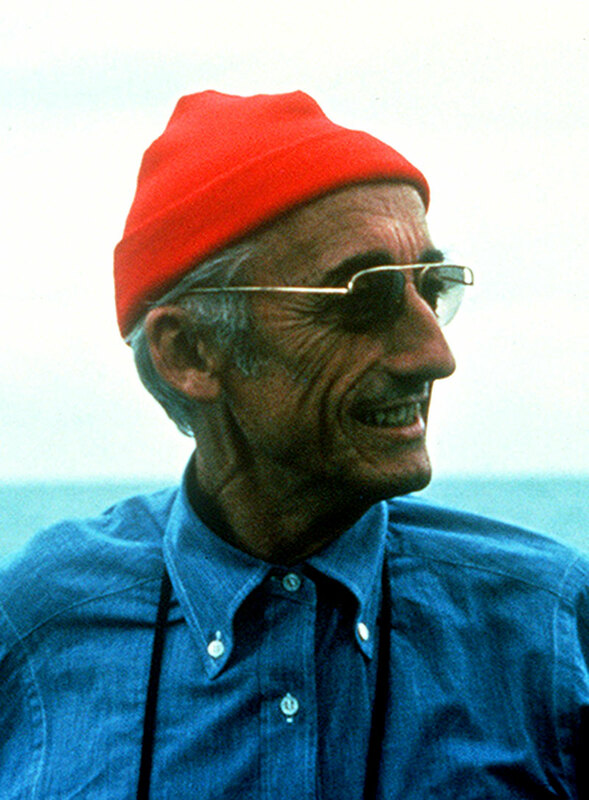 Jacques Cousteau is the greatest explorer that ever lived, or will likely live. His lifetime achievements are without pier. 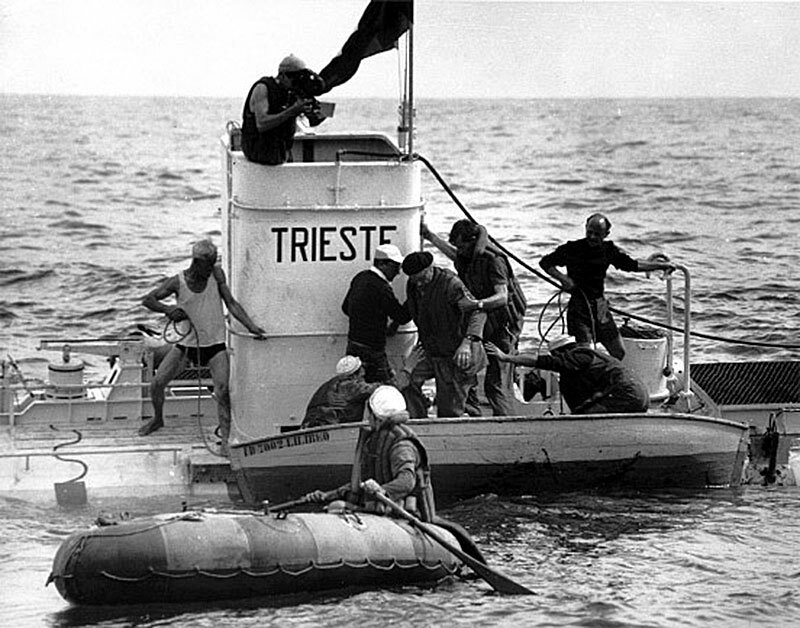 In 1953, Swiss explorer, Jacques Piccard, along with his legendary explorer father, Auguste Piccard, set an all-time depth record when they dove down 3150 meters (10,350 Feet) off the coast of Trieste, Italy. 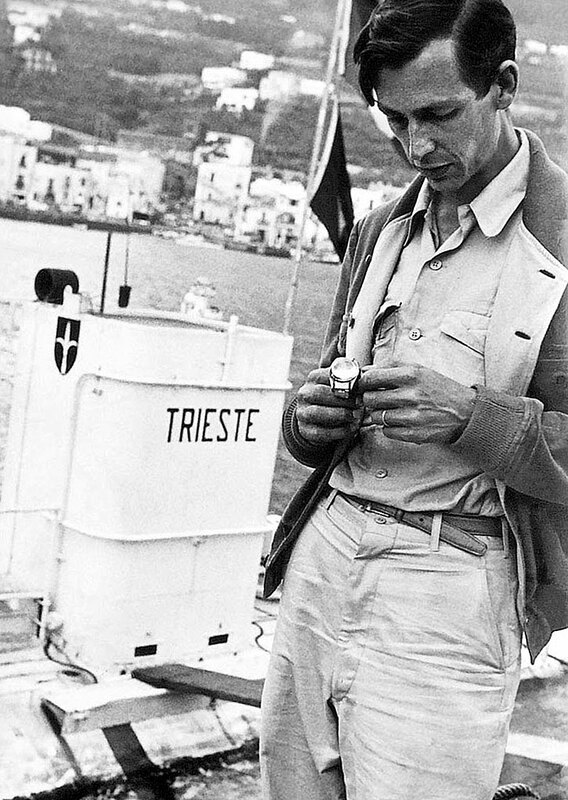 Jacques Piccard is pictured below in Trieste, Italy examining his Rolex Submariner DEEP-SEA Special prototype which he attached to the outside of his Trieste Submersible, when he successfully set the all-time depth record in 1953. 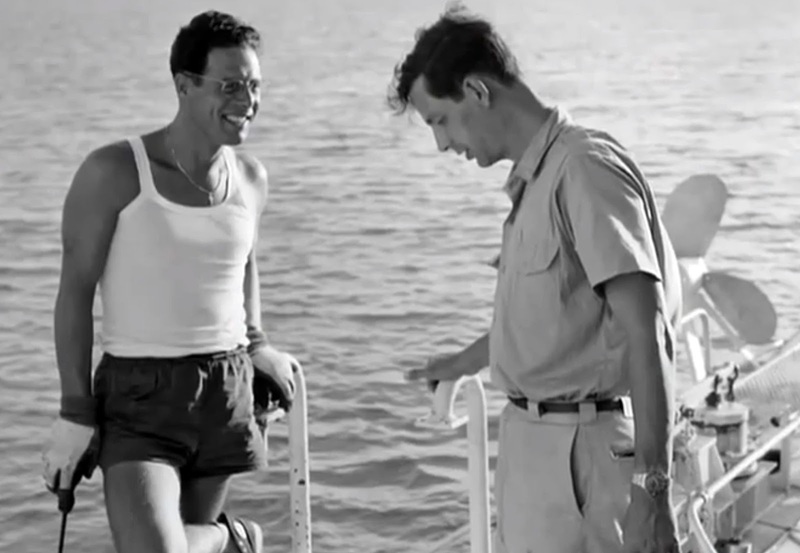 The photo below shows Jacques Piccard with his father and fellow legendary explorer, Auguste Piccard after they successfully set the all-time depth record in 1953. 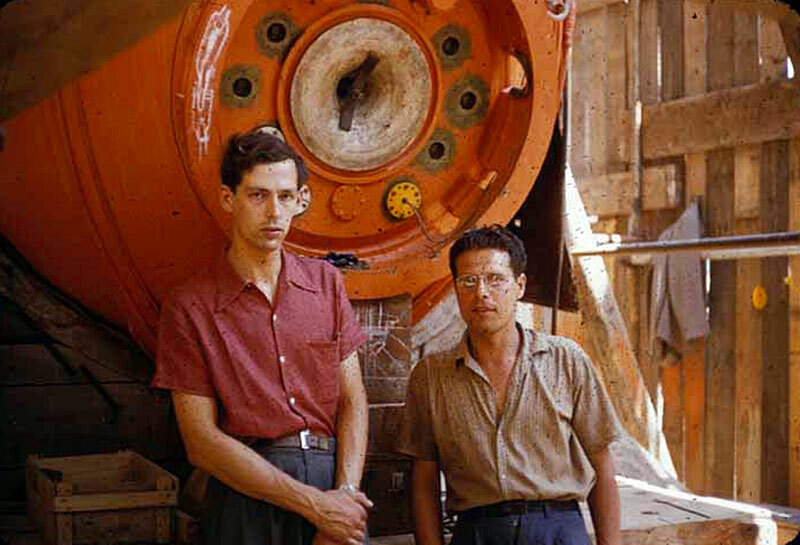 Auguste Piccard is in the center of the photo and he is wearing his trademark Beret, and his son Jacques Piccard is standing behind him, holding his arm. 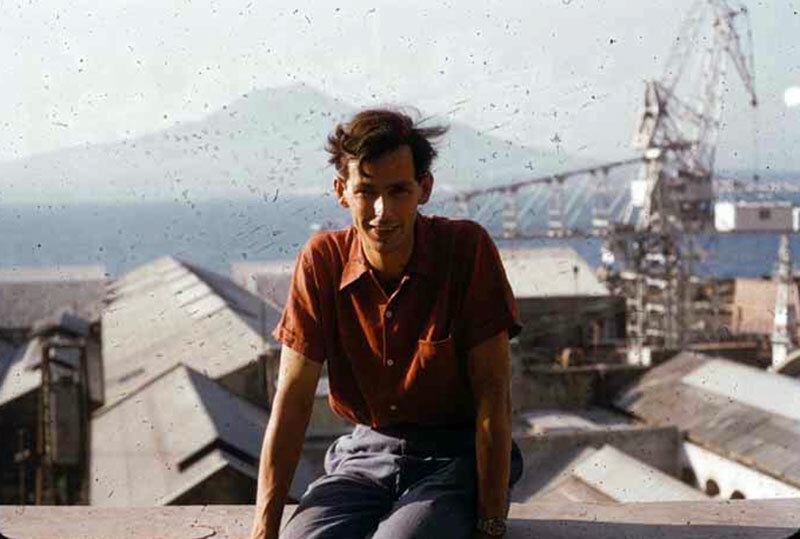 It is fascinating to note that Auguste Piccard was 70 years old when this photo was taken in 1953. Auguste Piccard's scientific and technological prowess and determination stands testament to the notion that talent does what it can, and genius does what it must! 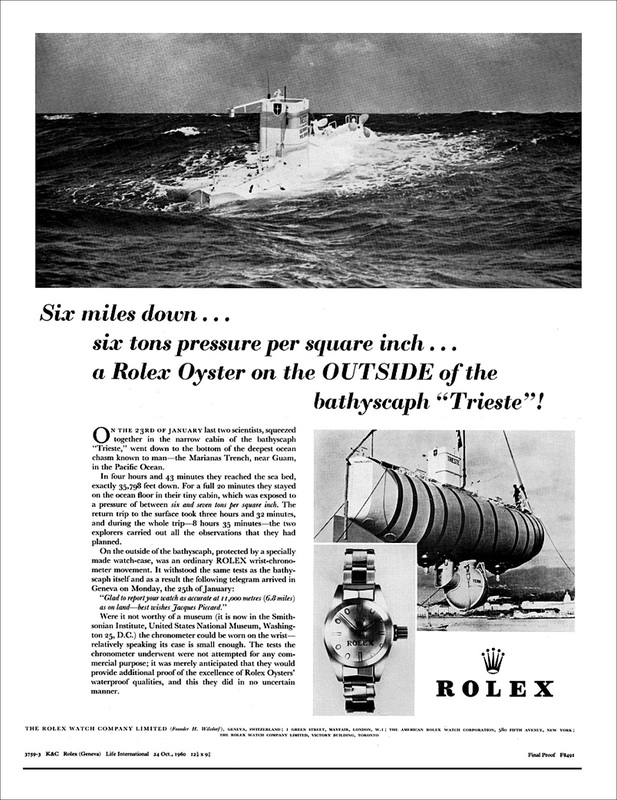 The 1953 Rolex advertisement pictured below tells the story about how in 1953, Jacques Piccard took navigated his Bathyscaphe Trieste submersible down to a record setting depth of 10,350 feet to set an all-new depth record, with the Rolex DEEP-SEA Prototype attached to the outside of the Trieste. 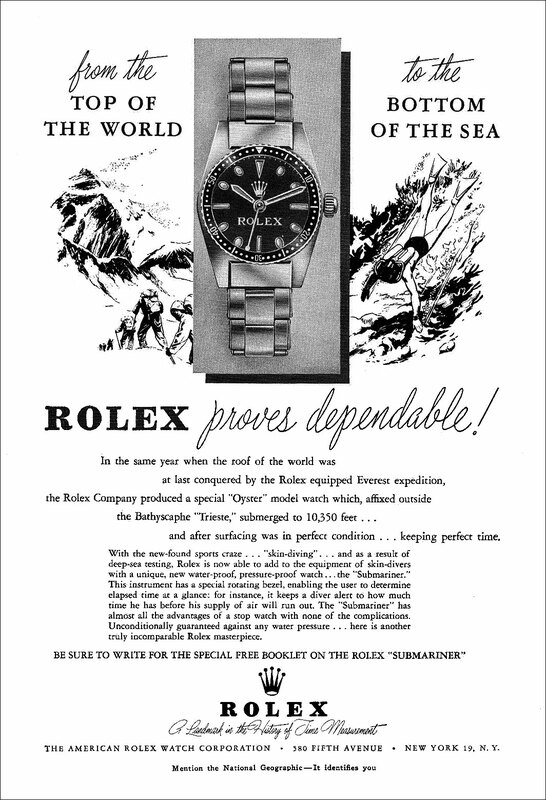 The Rolex ad points out that the same year, in 1953 Sir. Edmund Hillary and Tenzing Norgay conquered Mt. 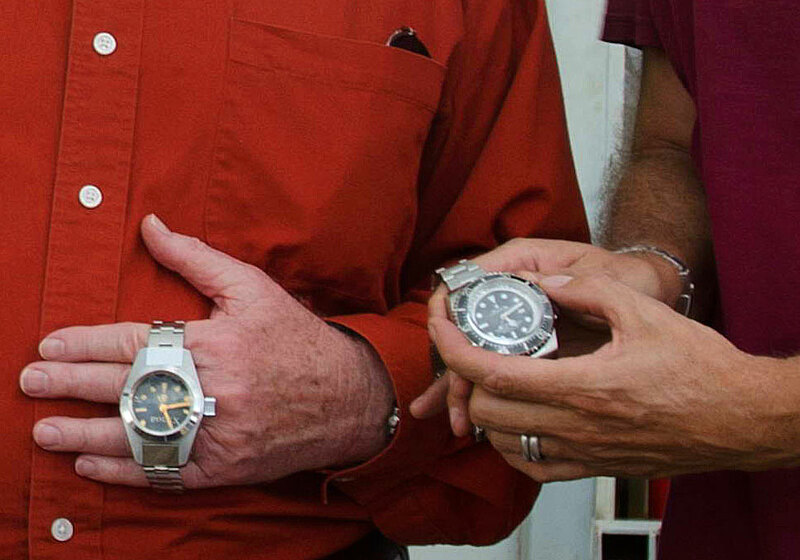 Everest, while also wearing Rolex Oyster watches. 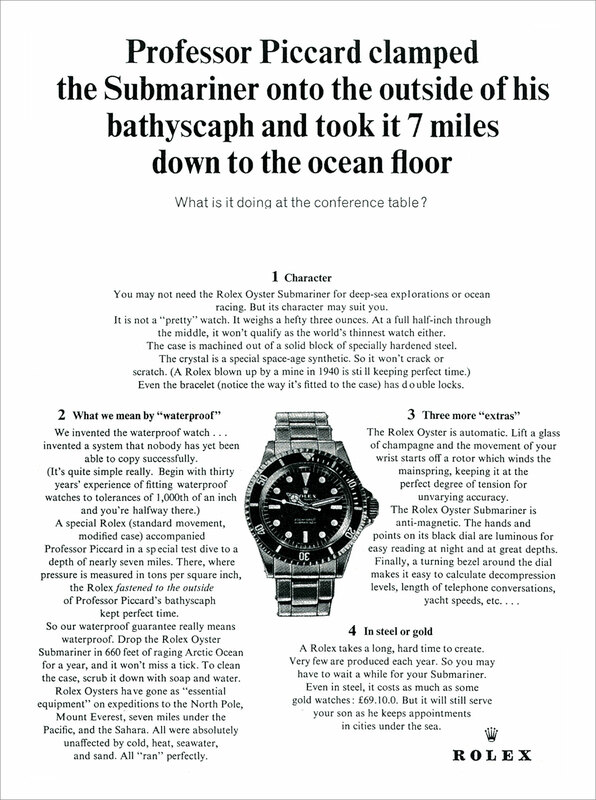 Notice the last line in the Rolex DEEP SEA ad above which says "Mention the National Geographic–It identifies you." 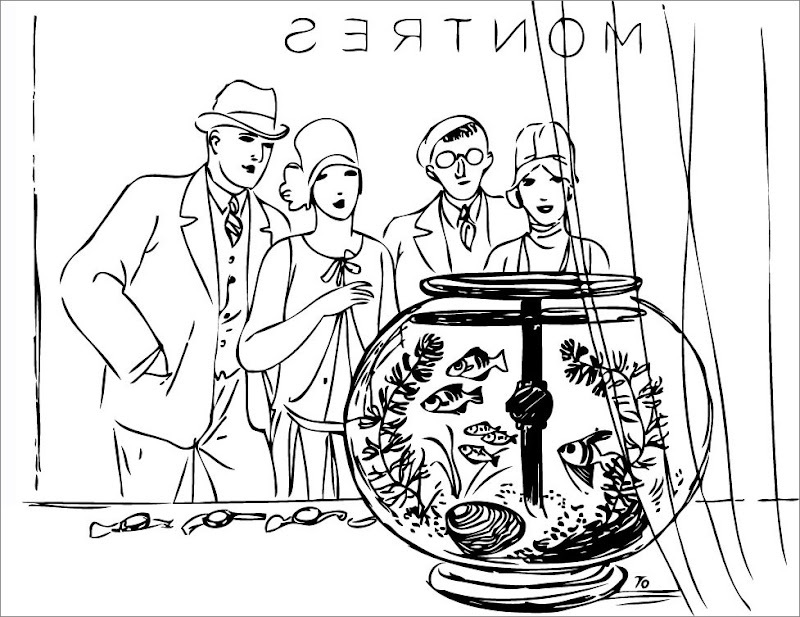 Jacques Cousteau was not the only man name Jacques who was testing Rolex Submariner prototype Submariner watches in 1953. 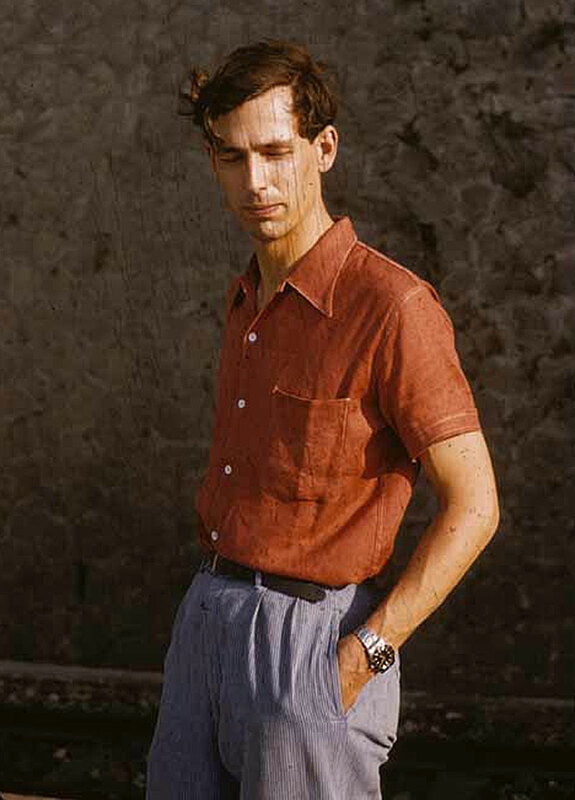 In the photo below we see legendary explorer, Jacques Piccard sporting a Rolex Submariner Prototype he was testing at the time for Rolex when. 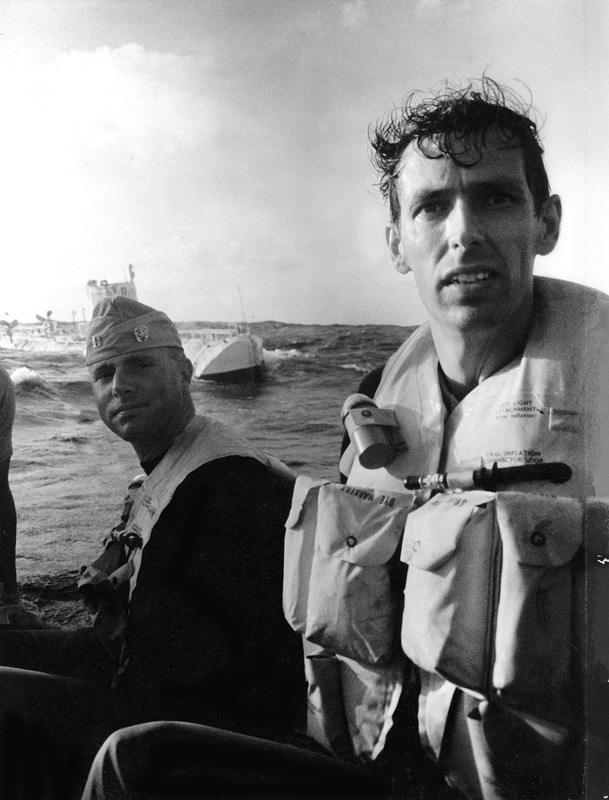 This photo was taken a year after he and his father set the all-time depth record in 1953 with their Bathyscaphe Trieste, before they sold it to the U.S. Navy. 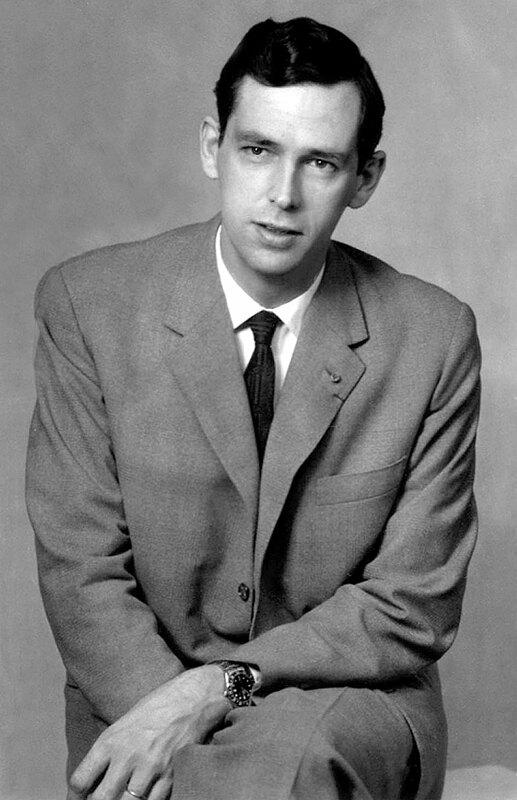 These pictures of Jacques Piccard, taken in 1954, wearing a Rolex Submariner are previously undocumented and remember you saw them first on Jake's Rolex World on August 8, 2014. 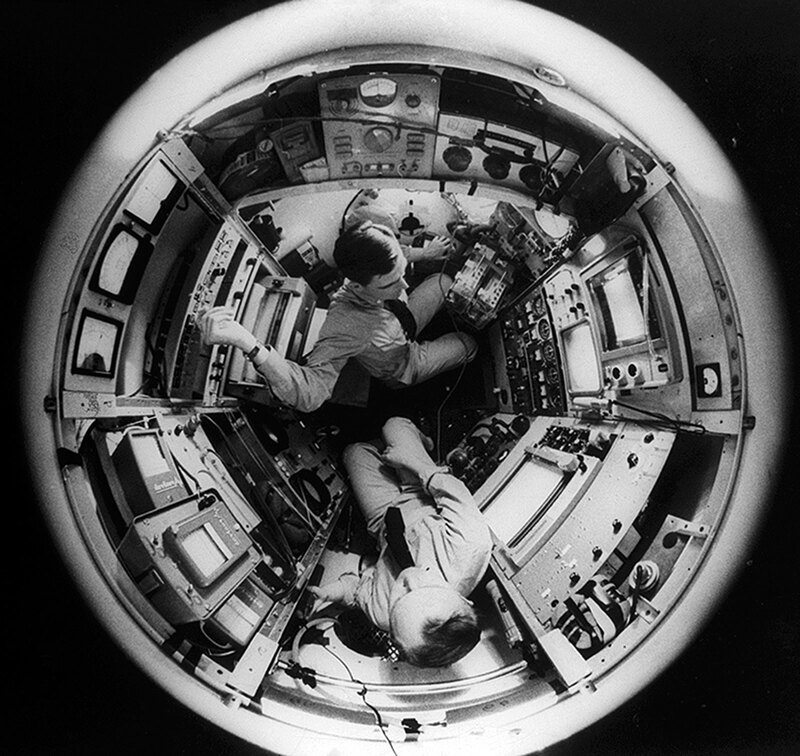 The photos appear courtesy of the MIT Museum Collection. 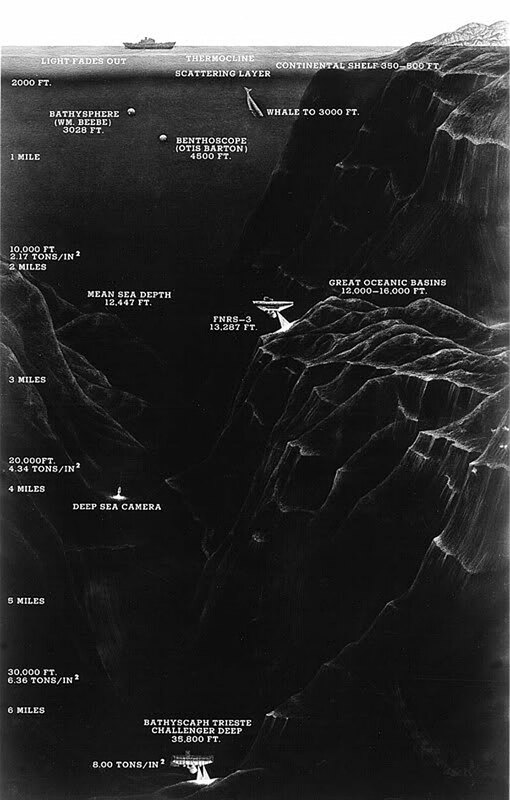 Pictured below, we see an illustration that shows exactly where the Challenger Deep is located in the Pacific Ocean. 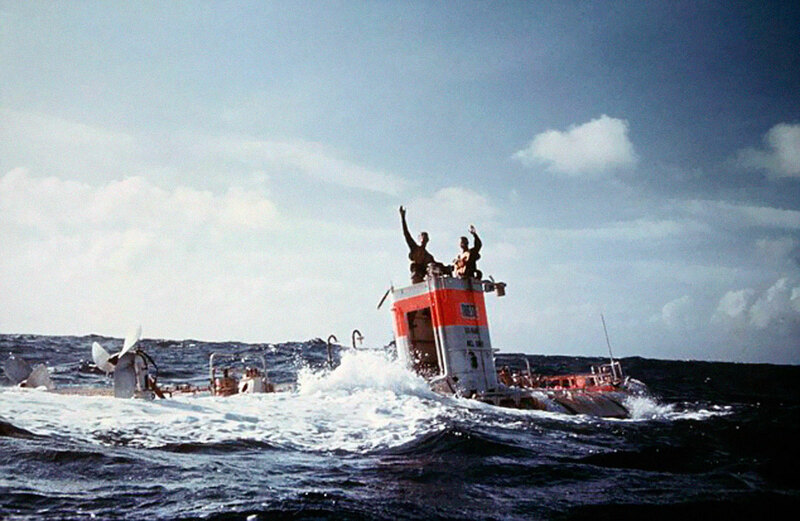 The photo below was taken on January 23, 1960 while U.S. Navy Captain Don Walsh and Jacques Piccard were at the bottom of the Marianas Trench, in the Challenger Deep, Off the coast of Gaum when they set the all-time depth record of 37,799 Feet (11,521 Meters). This all-time depth record has never been broken. 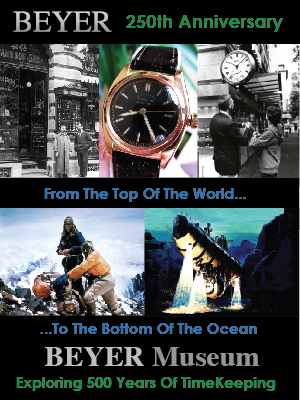 "Happy to inform your watch as precise at eleven thousand meters down as on the surface. Best Regards, Jacques Piccard." 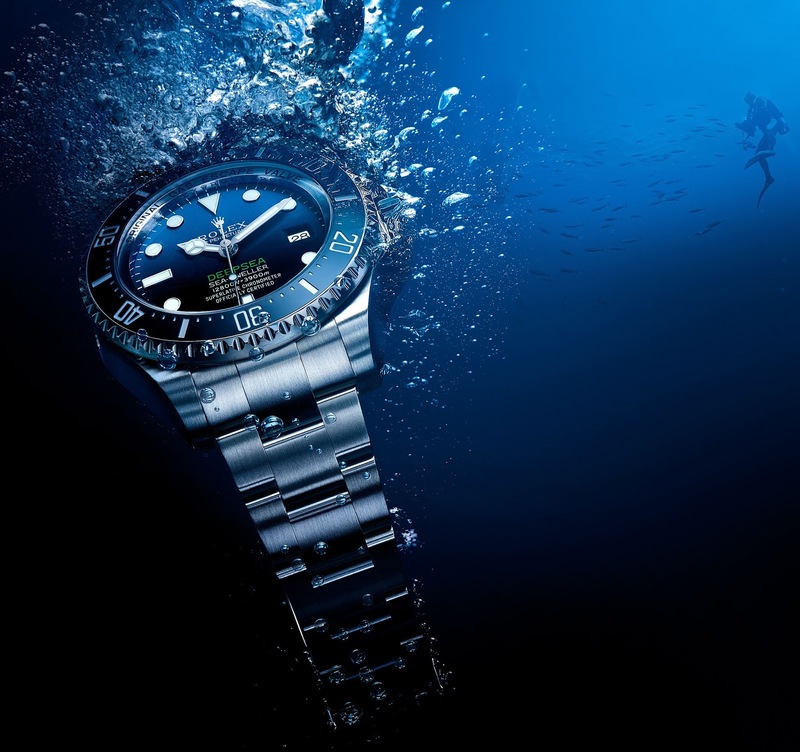 The formal name of this machine is The Rolex DEEPSEA TEST TANK, and it was designed specifically to test the Rolex Oyster Perpetual DEEPSEA, which is guaranteed waterproof to an extreme depth of 12,800 feet (3,900 Meters). 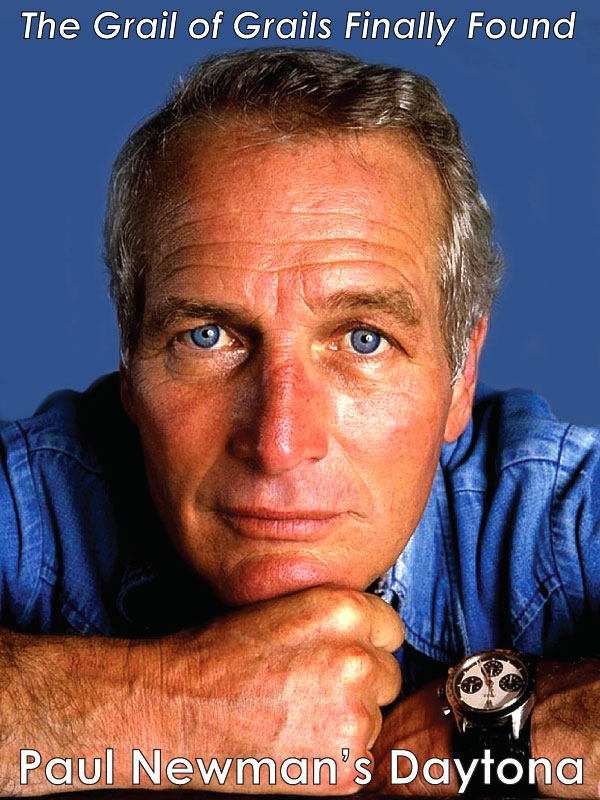 Now that we have explored some of the magnificent Rolex history that ultimately let to the development of the Rolex DEEPSEA SEA-DWELLER D-Blue, let's take a look at the watch itself, as well as James Cameron's achievements that led to the development of the watch. 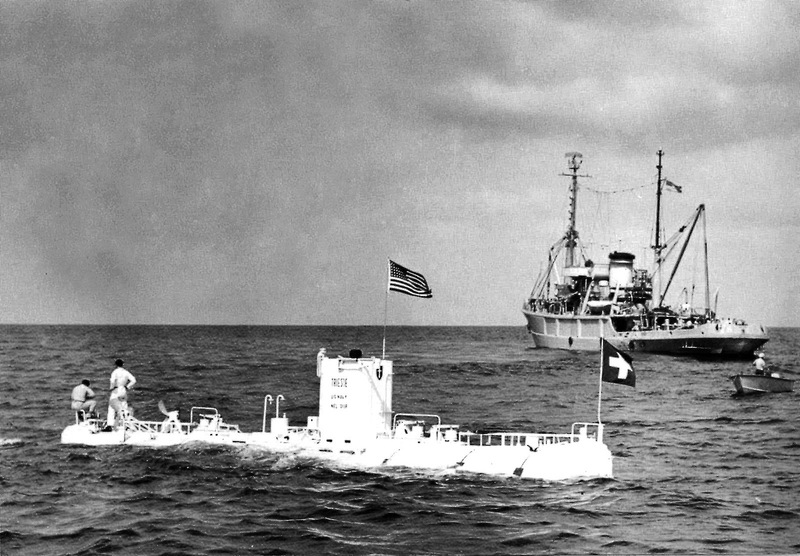 In March of 2012, I had been very carefully following all the developments of James Cameron's DEEPSEA CHALLEGER expedition, which had the goal of having James Cameron return to the Challenger Deep in the Mariana Trench off Guam, to match or exceed the record set by Don Walsh and Jacques Piccard in 1960. 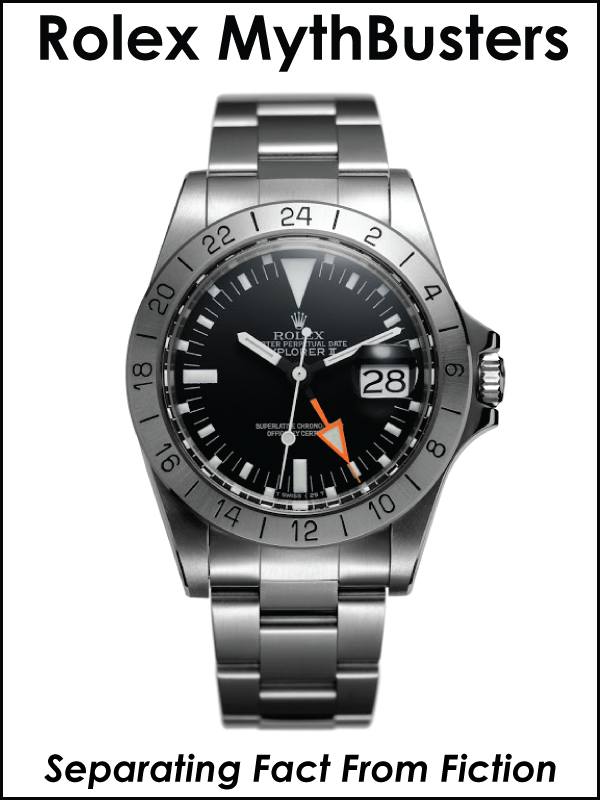 When James Cameron emerged from his successful record-setting dive, he was wearing a standard Rolex DEEPSEA SEA-DWELLER as seen in the photo below. 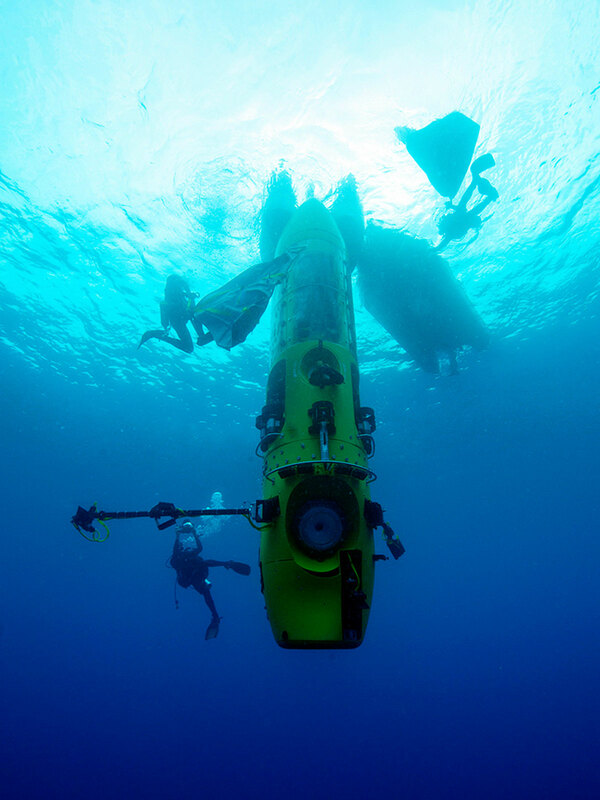 Also, if you look closely at the photo above, you will notice the special Rolex DEEPSEA CHALLENGE watch attached to the robotic arm of James Cameron's submersible, which successfully returned to the ocean surface in perfect working order. 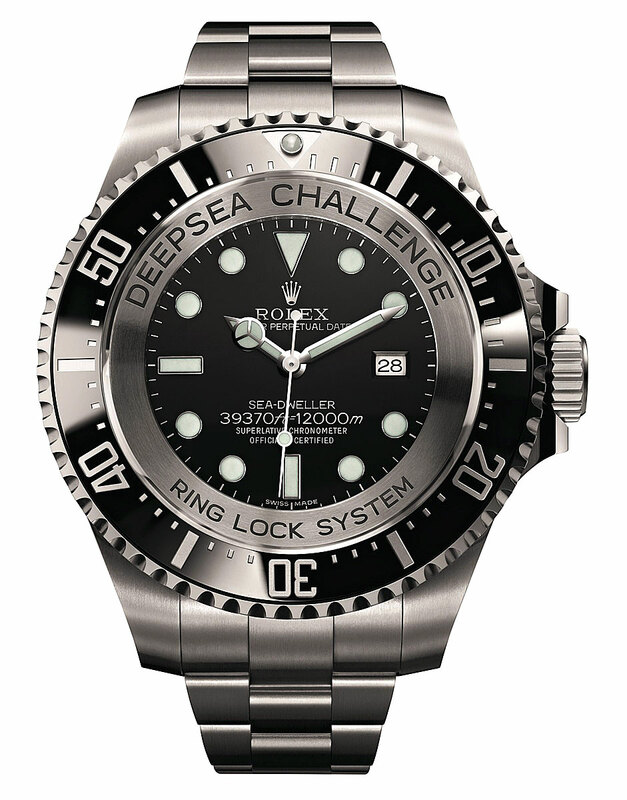 The DEEPSEA CHALLEGE watch is pictured below, and has never been made available to the public. 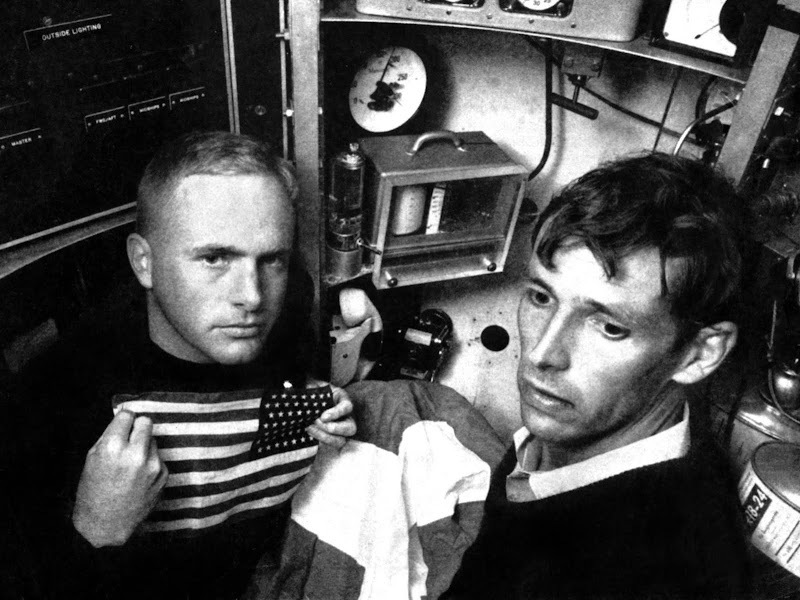 James Cameron, upon getting out of the the DEEPSEA CHALLENGER Submersible was greeted by non-other than U.S. Navy Captain Don Walsh who set the original record which Cameron matched. 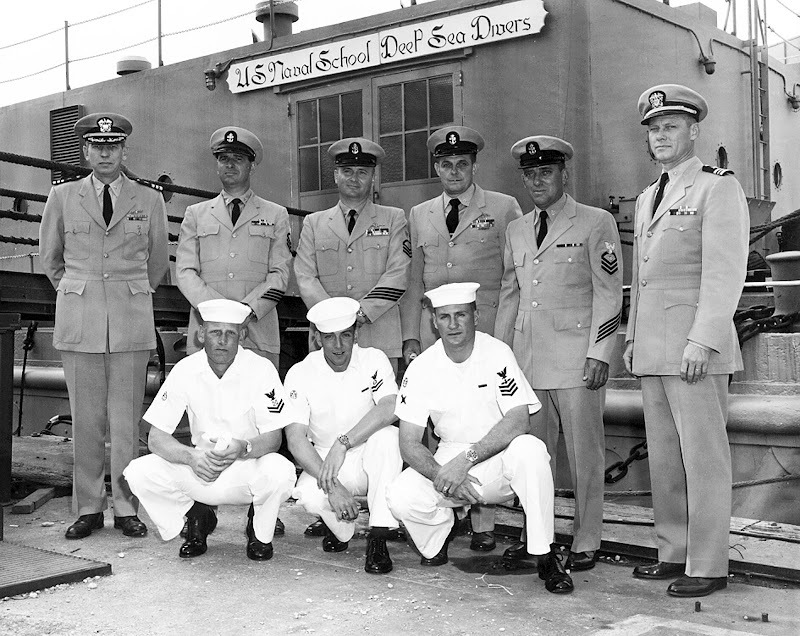 Captain Walsh served as an indispensable consultant to James Cameron on this epic project, and in the photos above and below we see them after the record dive and Captain Walsh is proudly posing with the original Rolex DEEP-SEA Special prototype that accompanied him on the outside of his Bathyscaphe Trieste, and James Cameron is also proudly posing with the Rolex DEEP-SEA CHALLENGE watch that accompanied him on the outside of his DEEPSEA CHALLENGER Submersible. 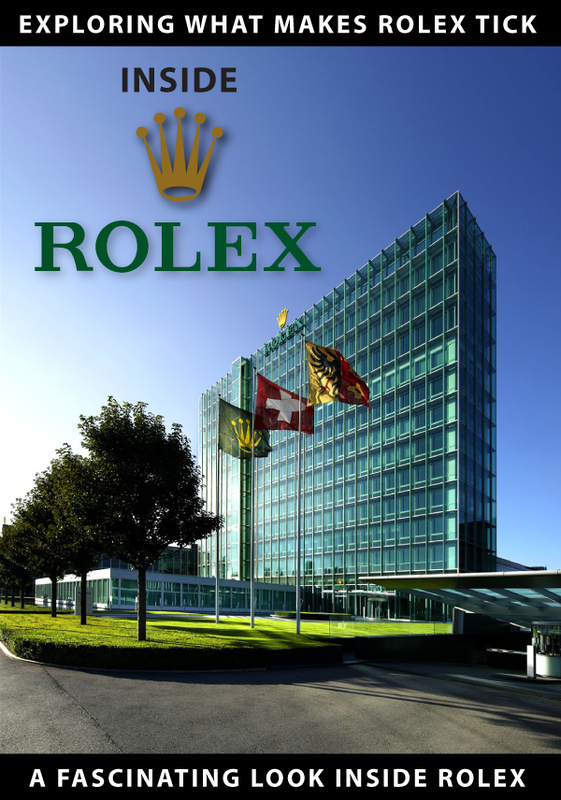 I remember how exciting it was to watch this amazing Rolex history unfold in front of me, and months later, more details were released on this amazing project, and all the detail that went into it. 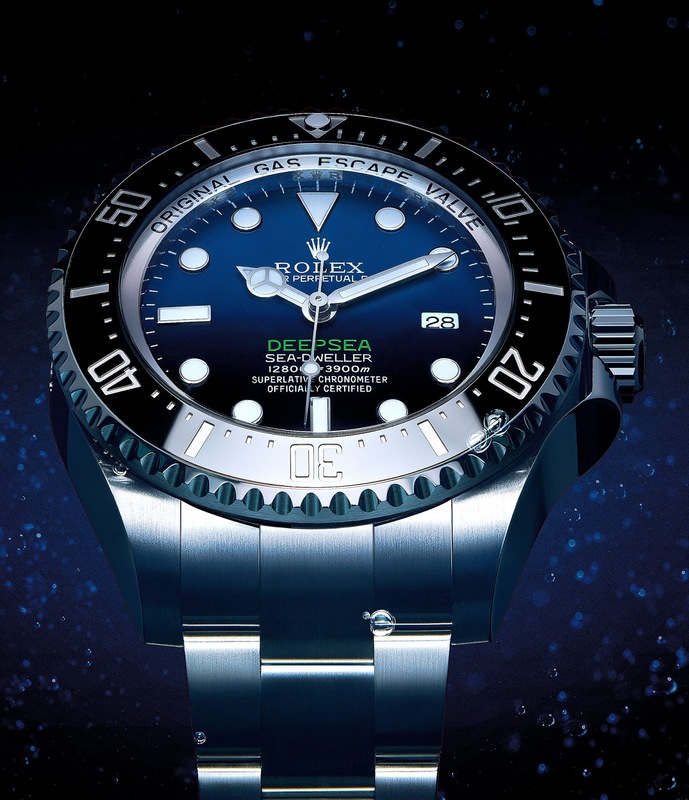 So now that we have explored so much about the history of the Rolex DEEPSEA, lets take a closer look at this special edition Rolex DEEPSEA designed to commemorate James Cameron's amazing achievement. As I mentioned before, I really like the design language in this watch. 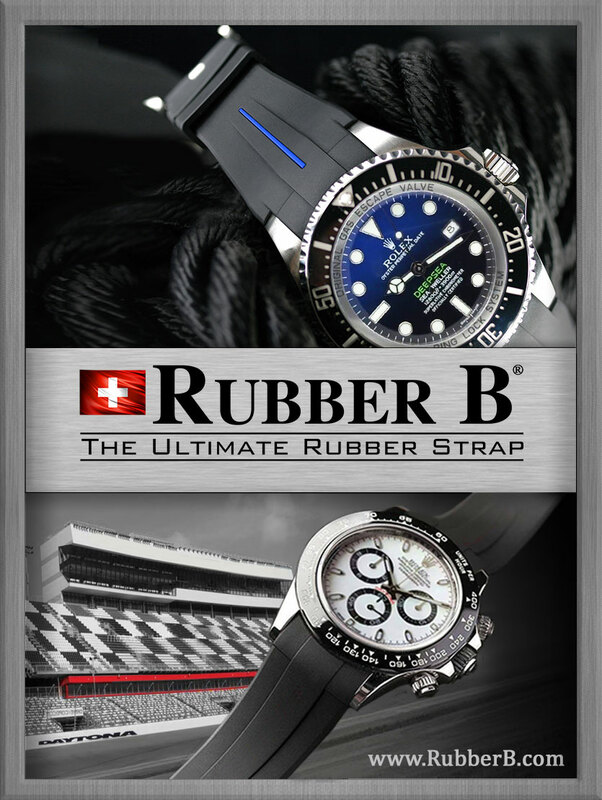 On many levels it represents a departure from vintage Rolex design language and it shows Rolex is still pushing the envelope of design by experimenting with this unique color combination. 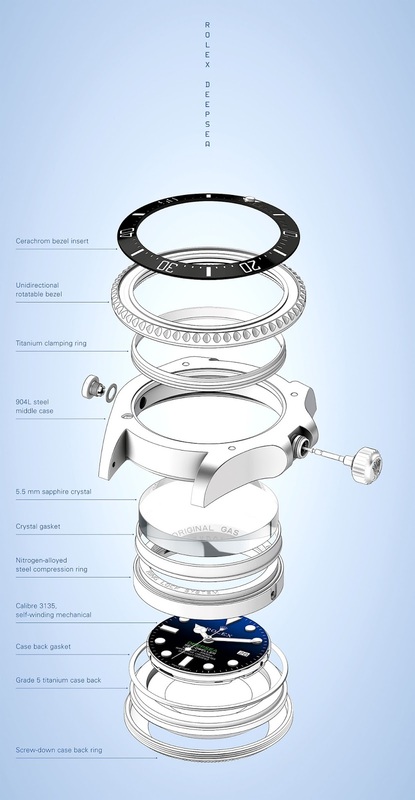 The photo below shows and expanded construction view of the Rolex DEEPSEA D-Blue. 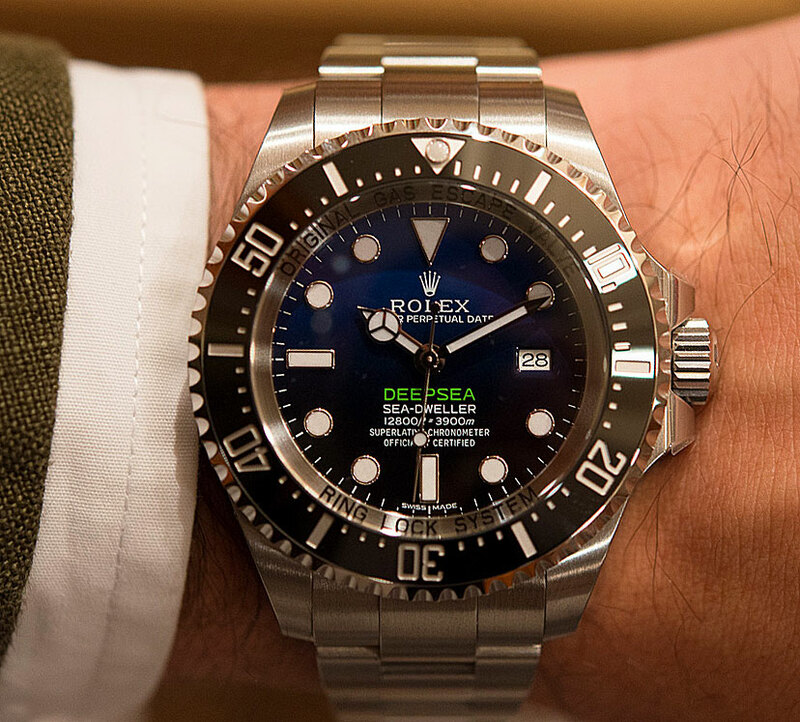 The photo below shows the actual DEEPSEA D-Blue and appears courtesy of Hodinkee.